Our week long trip to Austria finished with a little bonus at the airport. I had wandered up to the observation deck in hope rather than expectation as the schedules had suggested we would see nothing land or take off before our flight boarded. 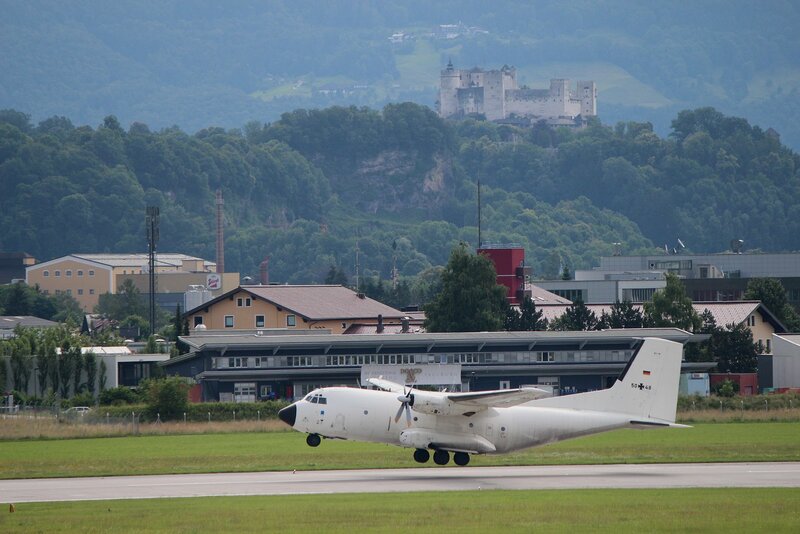 It was something of a surprise then to see a Transall C-160D military transport from the German Luftwaffe land and then take off after a very short stay. 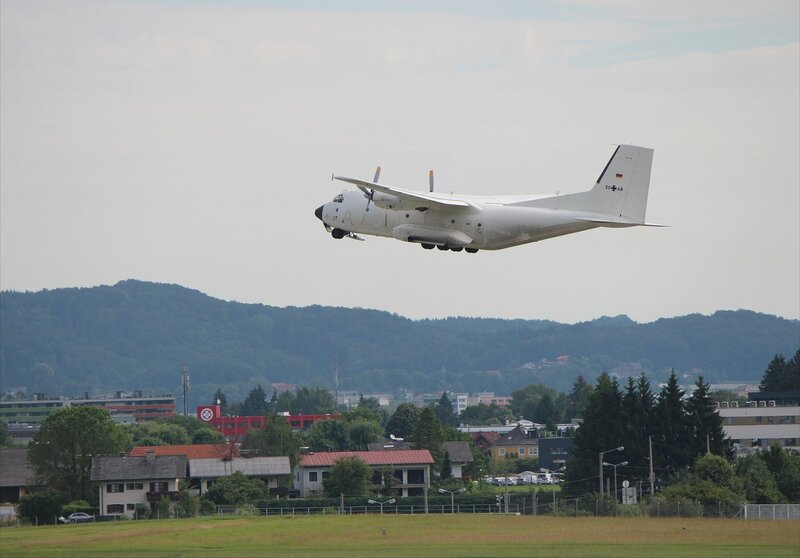 The Transall C-160D is a veteran of the skies in Europe, having first entered in service since 1963. 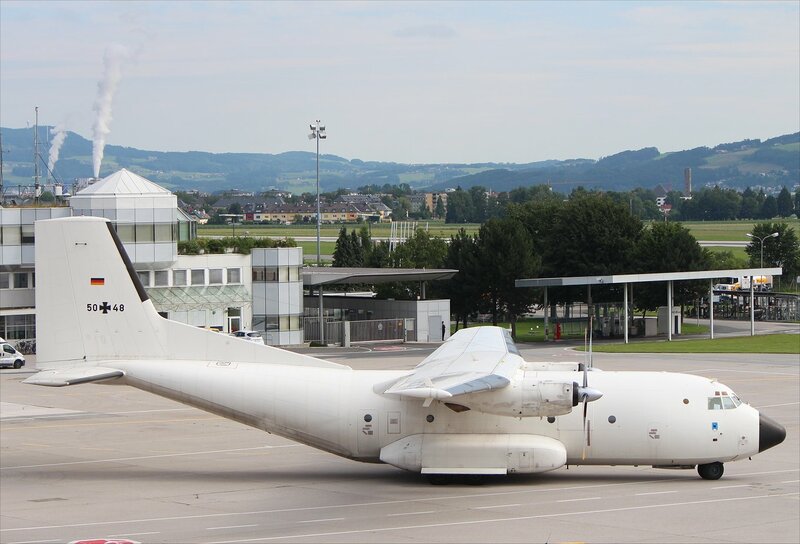 The aircraft itself was produced by a Franco-German consortium Transporter Allianz. A total of 110 aircraft were produced for the Luftwaffe, though only 56 were in service by August 2014. The example in front of us, 50+48, belongs to the Air Transport Wing 61. 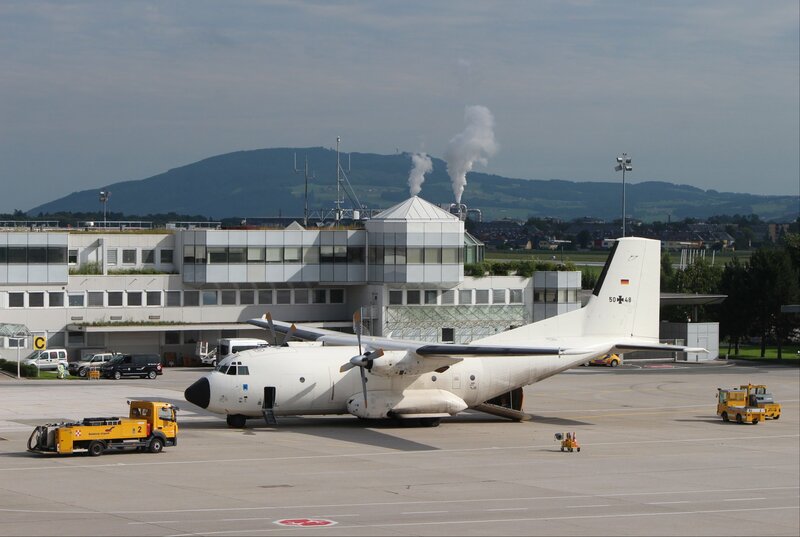 The Transall C-160D is steadily being phased out in favour of the Airbus A400M Atlas, but reports suggest that it is likely that some C160Ds will remain in operation with the Luftwaffe for another three to five years. 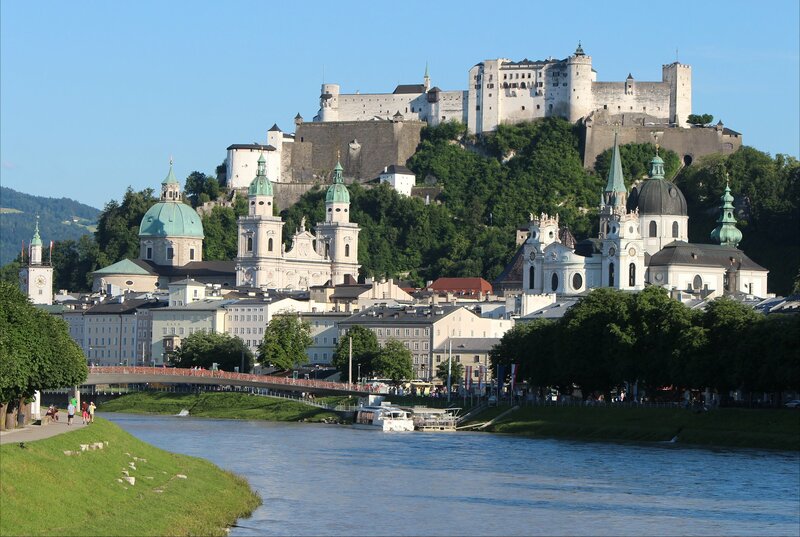 Over the past three days we have spent our time working our way through the many sights of Salzburg, armed with a 72 hour Salzburg card and a map. I am sure that there are endless blogposts about the city and its delights, so I will just share our top six sights and a few of the photographs that we took along the way. The weather during our stay was rather mixed, with all the variations between blues skies and blazing sun to wet and cloudy. Thankfully, the compact nature of the old town in Salzburg made it easier to dash from one sight to the next during the heaviest rain. 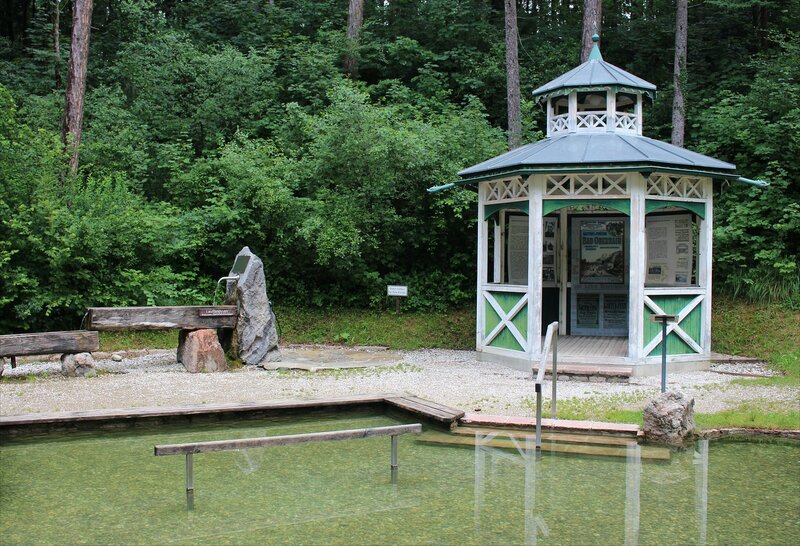 A tour of the trick fountains of Hellbrunn proved to be a marvellously fun way to start a hot summer day, especially as no-one escapes getting a little wet! The exhibition in the main house explains more about their creator, Markus Sittikus, and is really well presented. It is astonishing to think that an entire palace and grounds such as this could be constructed for pleasure, rather than to be lived in. It could so easily have disappeared when pleasure gardens of this type fell out of fashion during the age of enlightenment. 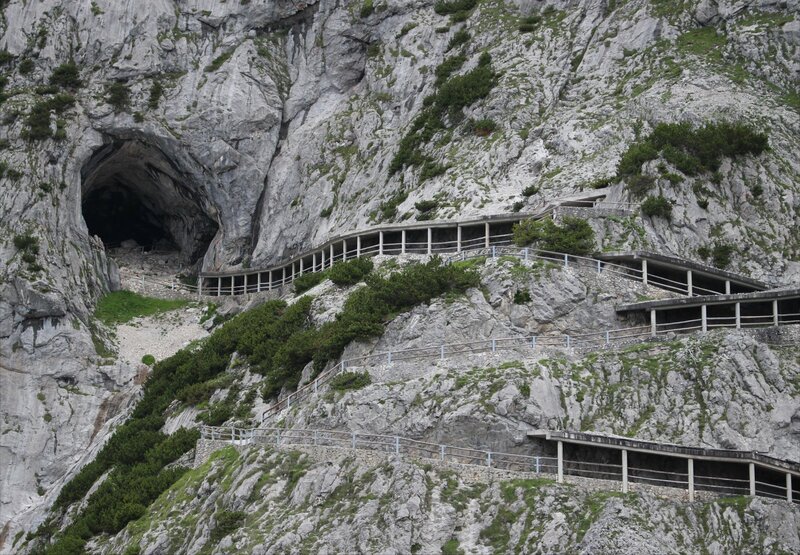 Indeed, many of the places that inspired Markus did not survive. 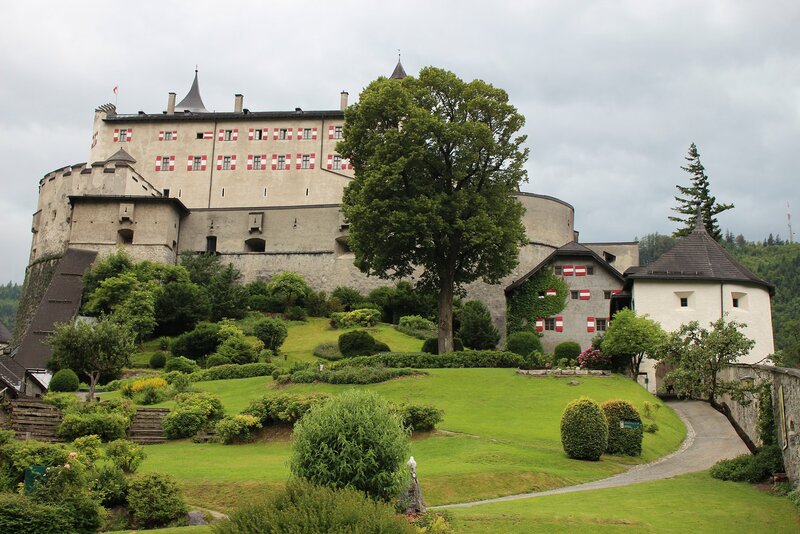 The magnificent Salzburg Fortress dominates the city skyline and didn’t disappoint when we finally got around to making a visit. 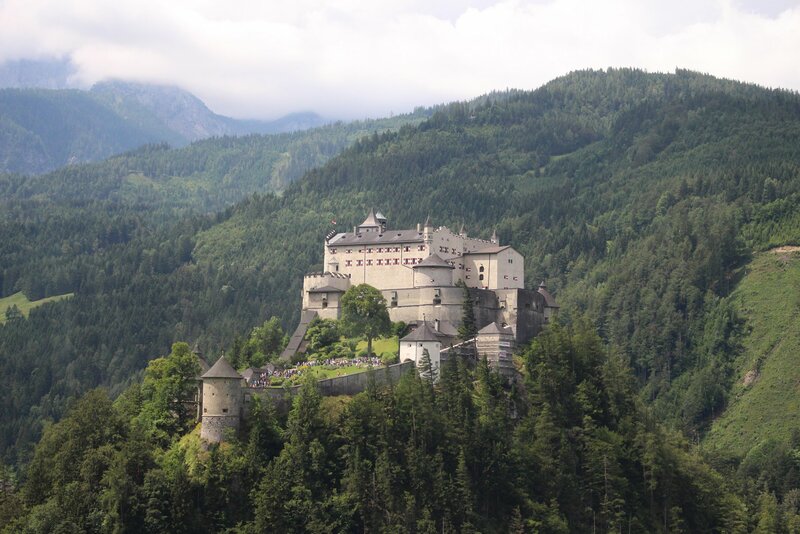 The fun began with the 52 second ride up to the fortress on the Festungsbahn, a funicular that first opened in 1892 and operated today with modern cars with panoramic windows. 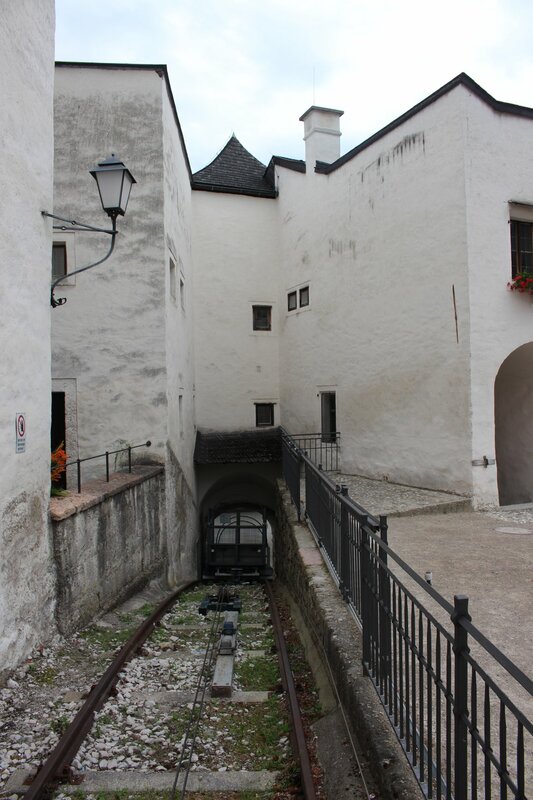 Remarkably it is not the oldest operational funicular on the site, that honour that goes to the Reißzug which has been used to transport goods into the fortress since the 15th century, making it the oldest funicular in the world. There is plenty to amuse at the fortress. I found the marionette museum unexpectedly enjoyable but the the state apartments (the Golden Hall, Golden Room and the bedchamber of Prince Archbishop Keutschach) were the highlight for me. 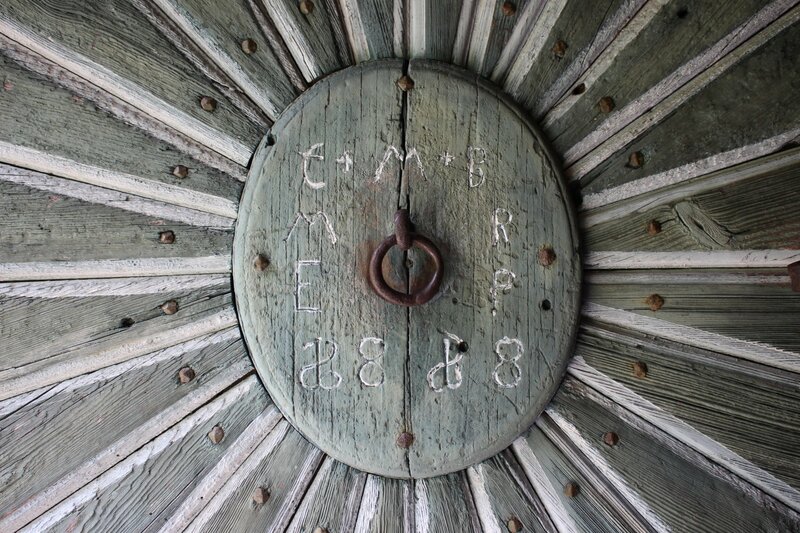 I spent ages absorbing the ornately decorated walls and ceilings before moving on to the fascinating fortress museum. 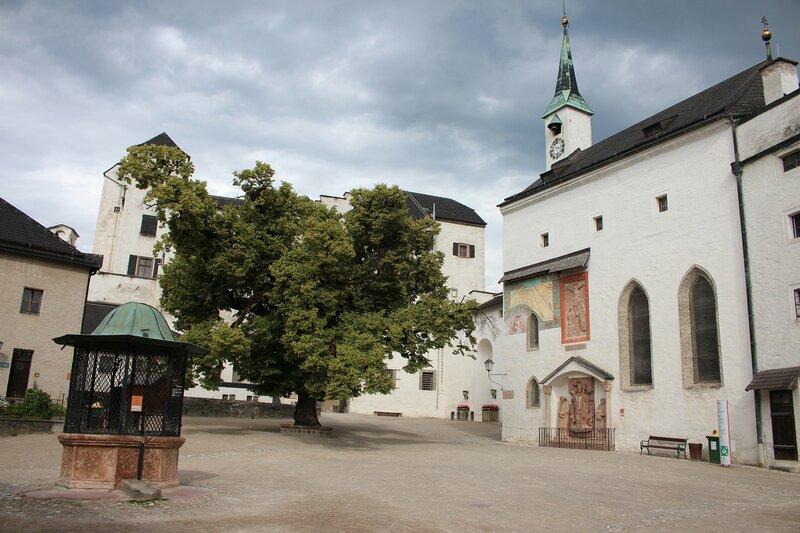 The early Christian chapels, cut into the Mönchsberg and accessed through a staircase from St. Peter’s Cemetery, offer a marked difference to the many elaborate churches of the city. 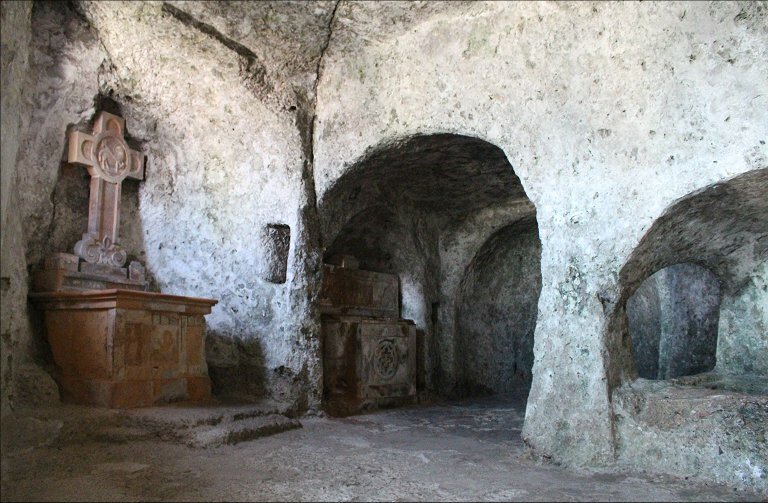 The caves were originally described as a hermitage but are known today by the later, erroneous, label of catacombs! 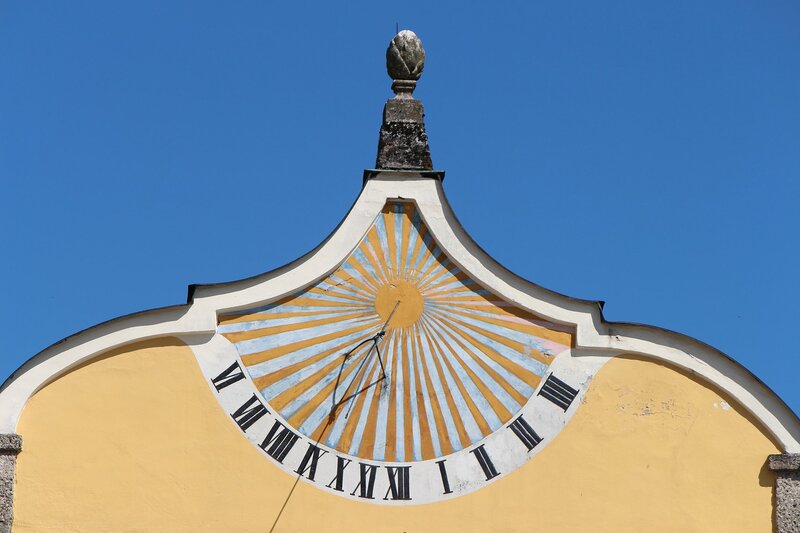 Salzburg is a city packed full of churches and cathedrals to such a degree that you can hardly avoid stumbling upon one each time you turn a corner. 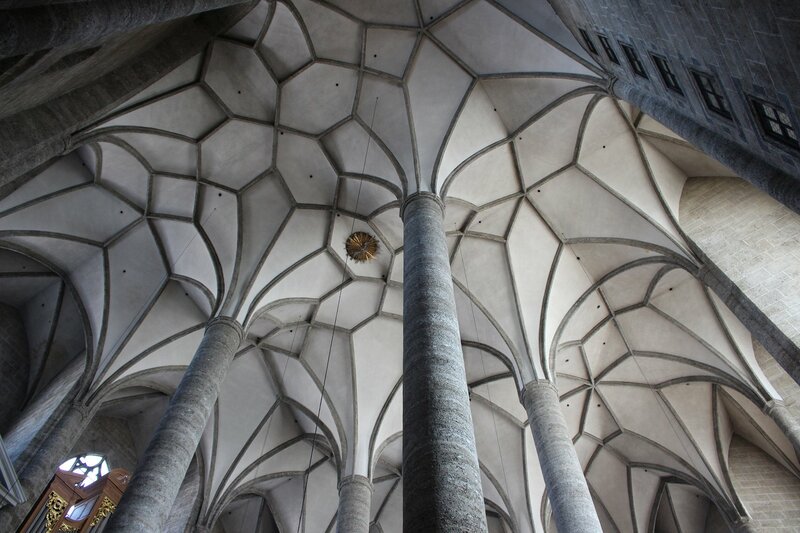 However, the Francisan Church was my favourite for its mixture of architectural styles, the beautiful gothic rib-vaulting and the look of buildings inside the church. 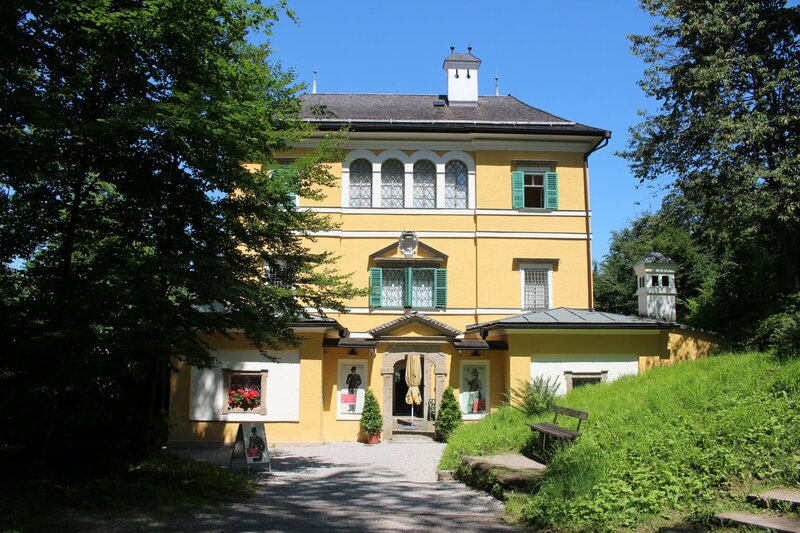 The underrated Folklore Museum is located in the Monatsschlössl, a hunting lodge built by Markus Sittikus in 1615, located on a hillside overlooking Hellbrunn Palace. 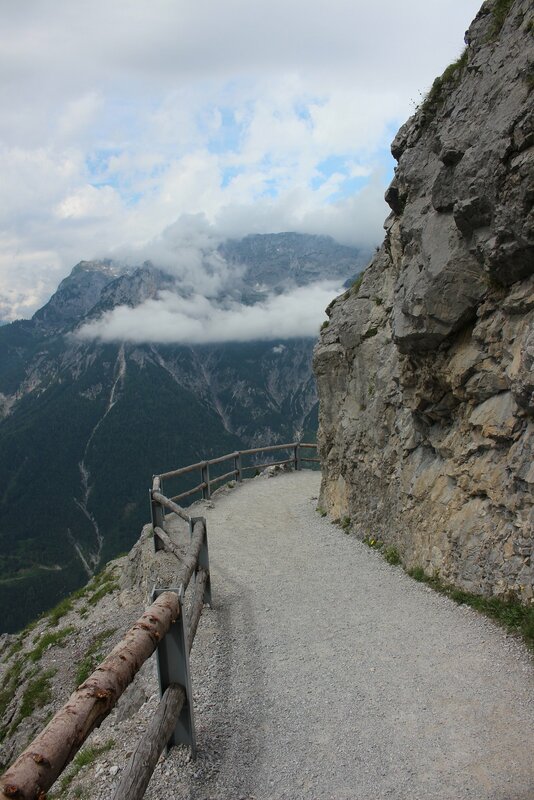 It’s a bit of a climb but well worth it for the views and the marvellous exhibits on display which include some beautiful cribs and wonderfully decorated bedroom furniture. Look out for the black squirrels on the climb up too! The clever and innovative approach to telling the story of Salzburg in the Neue Residenz makes this museum a delight, even if we were rather weary by the time we entered! 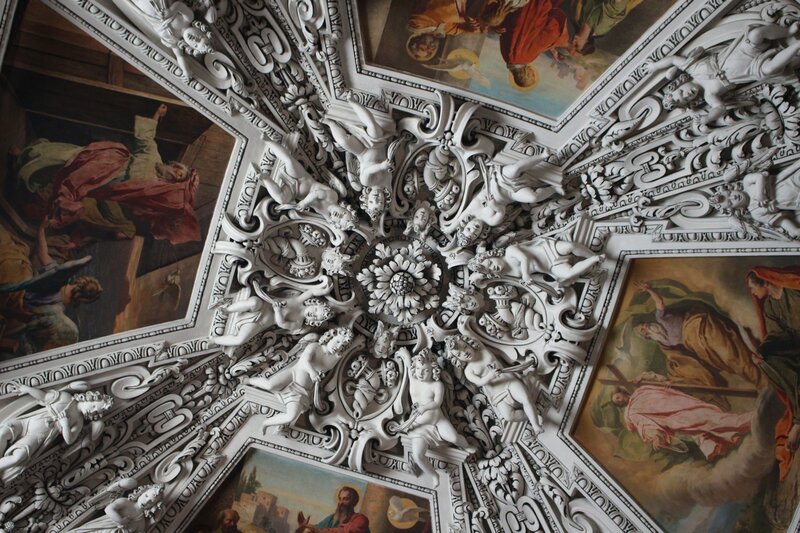 The stunning ceilings, treasures of Salzburg and displays about the history of the city. 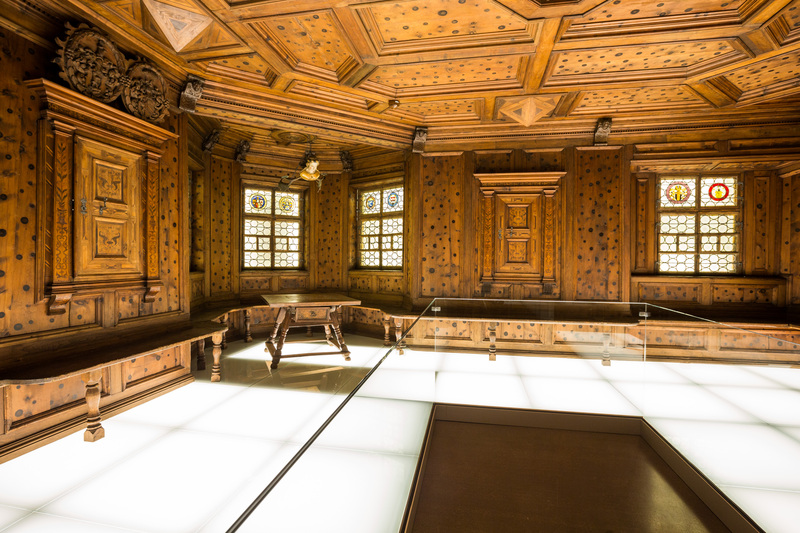 The early 17th century Goldegger Stube, a beautiful pine carved room from the Judenhof in Goldegg, was one highlight among many. Naturally, there were plenty more churches in the mix and plenty of wonderful viewpoints. 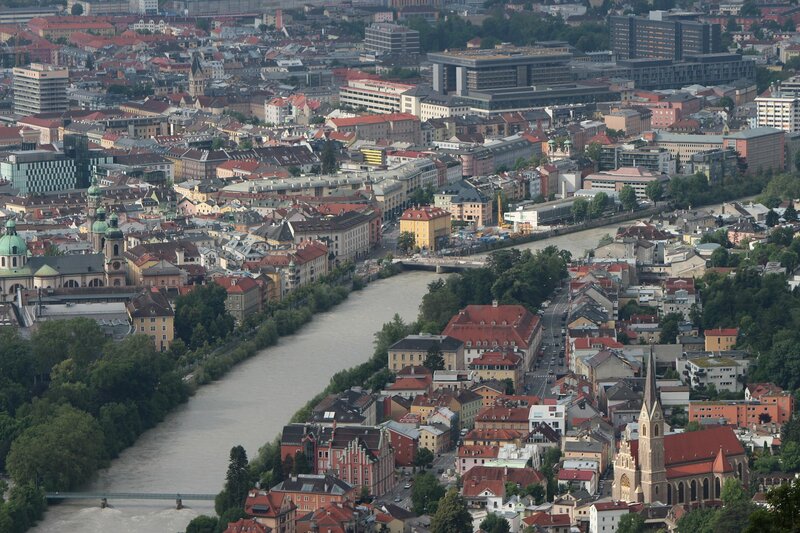 The views from the Mönchsberg, the Kapuzinerberg and alongside the Salzach are my recommendations. 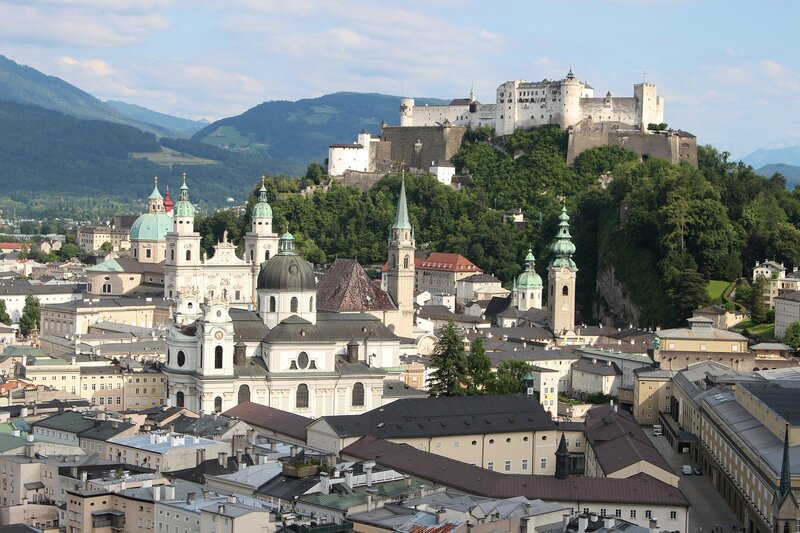 Other places we visited included the Cathedral, Cathedral Excavations, DomQuartier Salzburg (including the Residenz), Mozart’s Residence, Museum of Modern Art – Mönchsberg, Panorama Museum and Salzburg Zoo. 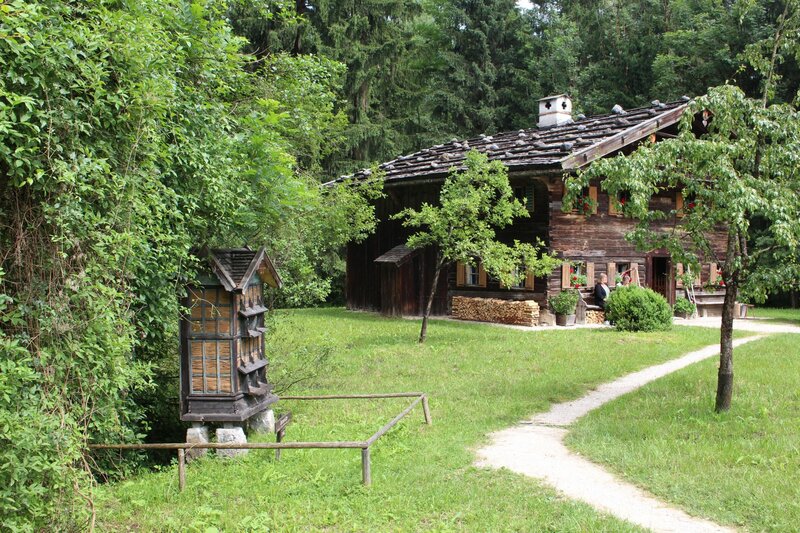 A day trip to the Salzburg Open Air Museum (Salzburger Freilichtmuseum) offered an insight into rural life in the region over the past five centuries. 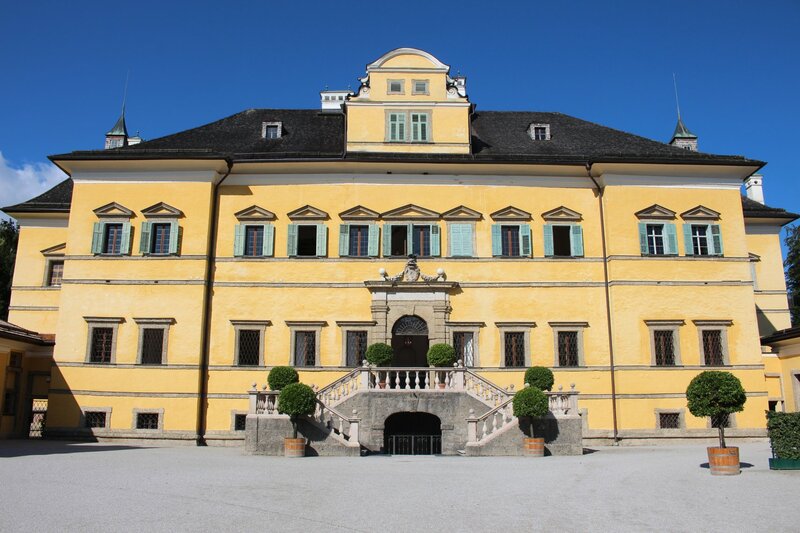 The museum is located on a splendid site 7km outside Salzburg, spread over 50 hectares, with buildings grouped in clusters that reflect the Salzburger Land districts they originate from. 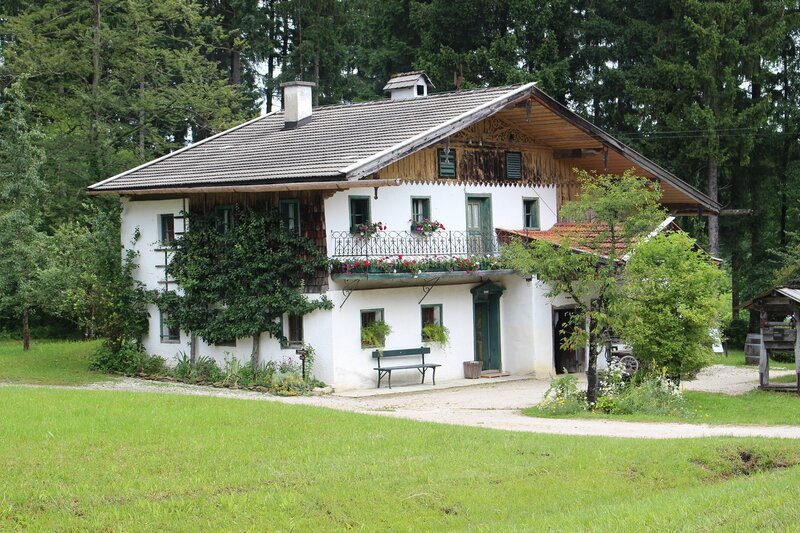 Farmhouses, barns and other outbuildings dominate the collection of buildings that have been preserved but there are also more unusual structures, such as a bowling alley and a tollhouse from the Grossglockner High Alpine Road. 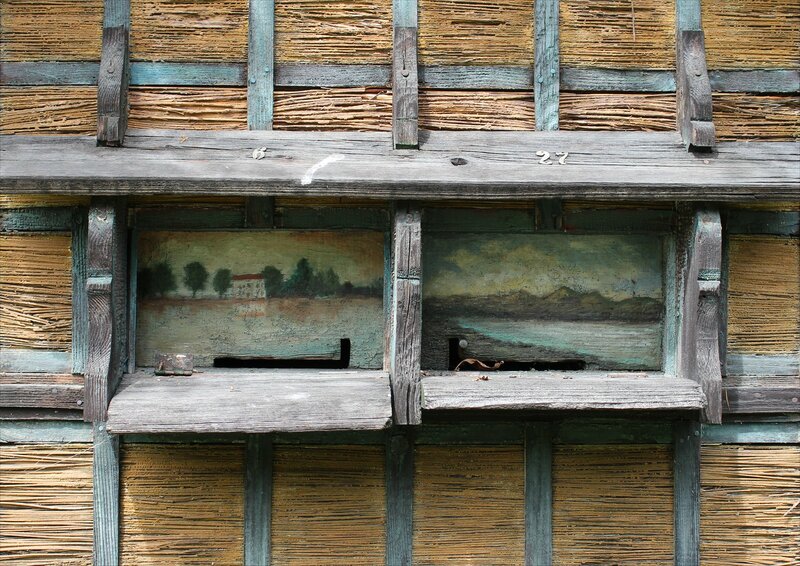 The highlight for me was one of the smallest buildings preserved on the site – an early twentieth century beehive from Moosstrasse, Salzburg, decorated with ornately painted landscapes (a close up of the top shutters can be seen here). I don’t know if an artistically inspired bee is a more productive bee, but it was certainly a sweet construction. 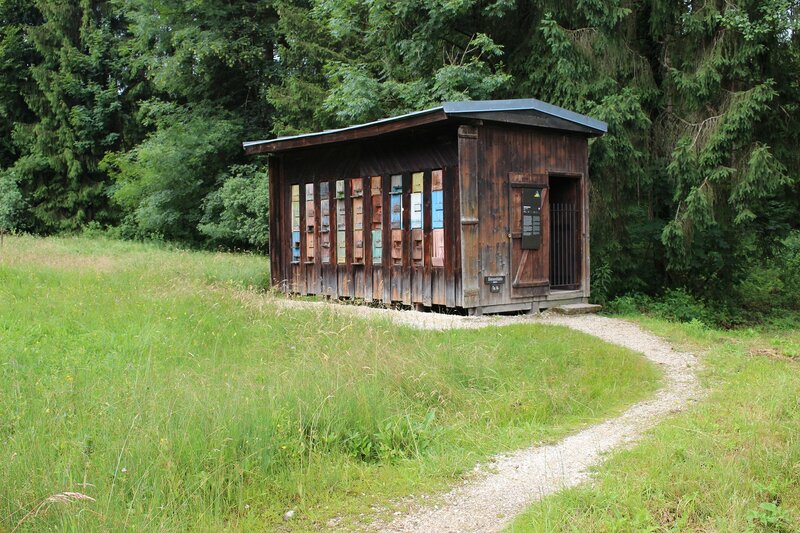 It is one of three beehives on the site, with the other two coming from Adnet and Wagrain respectively. 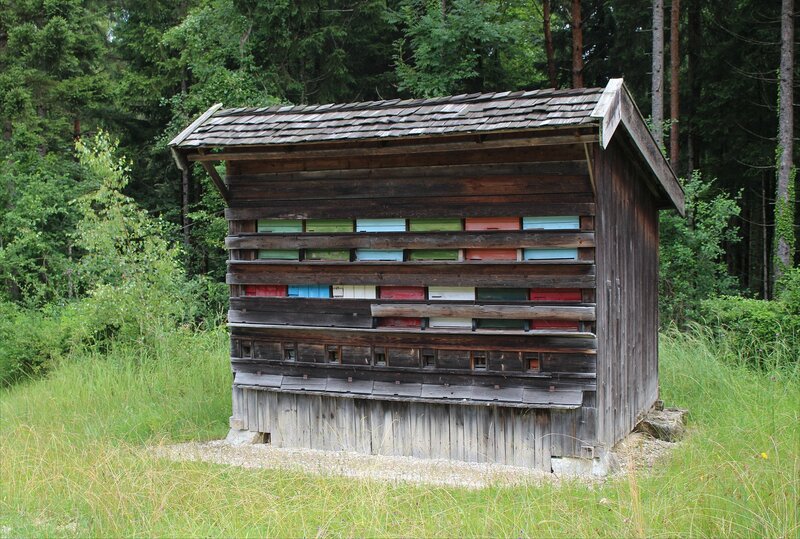 The hives of the bee house from Adnet were opened from the inside and the interior is displayed as if a beekeeper has stepped out for a moment, leaving their tools spread across the bench. 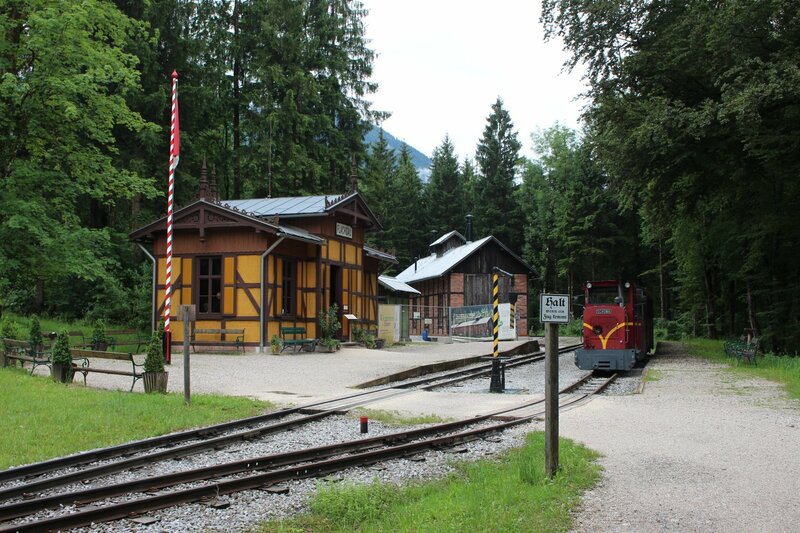 A 2km long narrow gauge railway line (600mm) was opened at the museum in 2010 with regular passenger trains (every 30 minutes) hauled by two Schöma diesel locomotives (Type CHL-40G and CHL-45G). One of the locomotives from the Diabaswerk Saalfelden in Salzburg, a dolerite quarry, whilst the other was originally used in the construction of the Channel Tunnel. 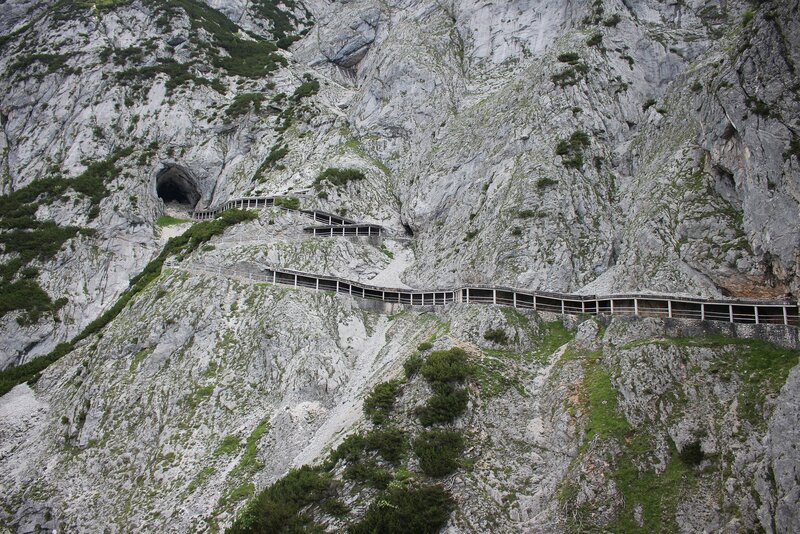 It’s not the most thrilling or interesting of lines but it does offer a neat way to get to the furthest reaches of the site, followed by a leisurely walk back to the entrance. 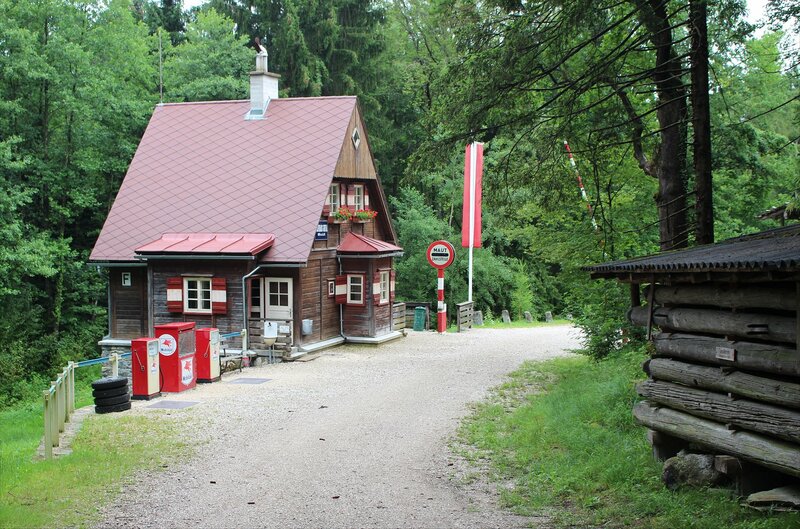 The line includes a replica of a railway station from the now closed Gaisbergbahn (1887), a replica of Söllheim station from the Ischl railway (1892) and the former railway station from Lintsching. 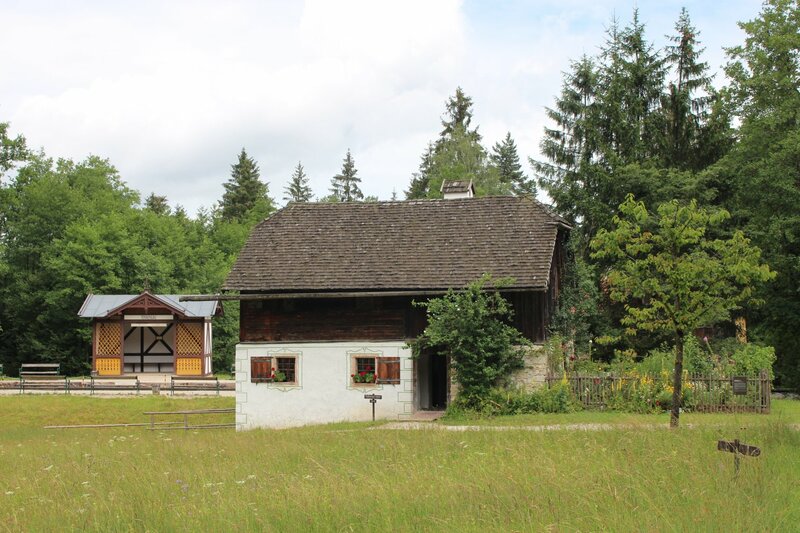 In the summer new railway buildings will be added to the mix – the original locomotive shed and a station toilet outbuilding from Böckstein/Bad Gastein (both 1909). 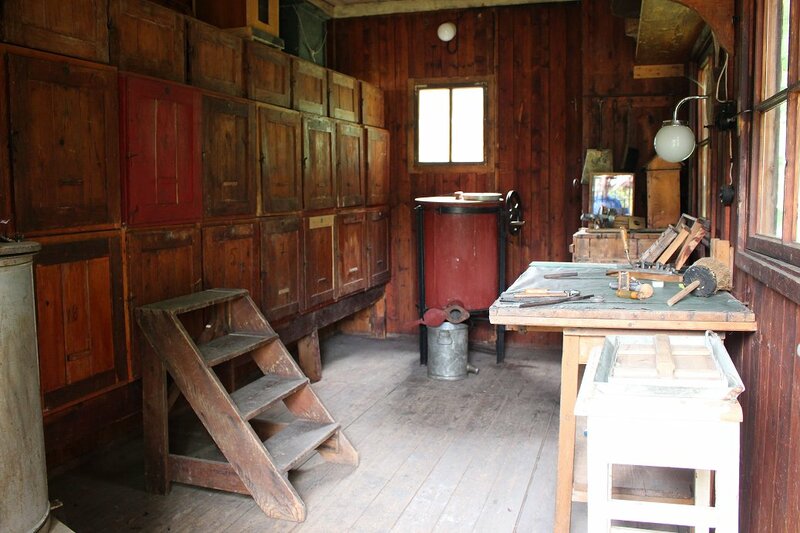 The museum is full of surprises, ranging from unexpectedly beautiful bedrooms in the most rustic of farmhouses to an exhibition of historic mousetraps. 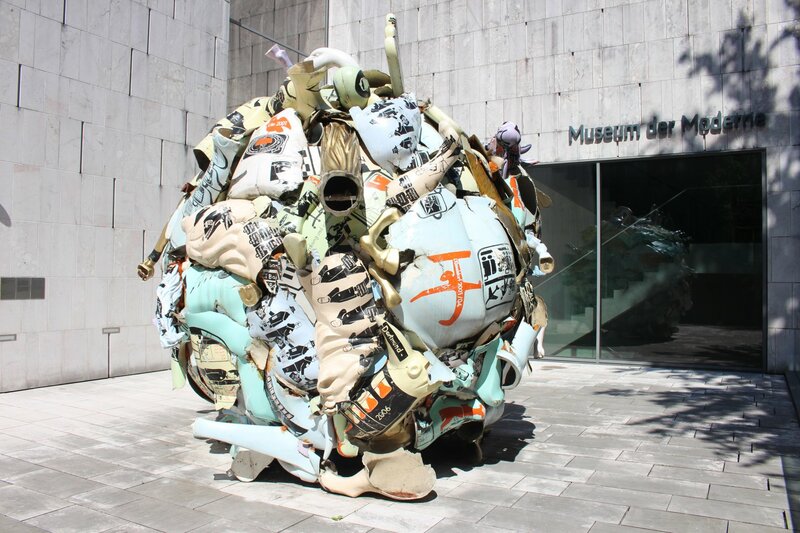 In short, it is a delight to wander round the museum grounds and comes highly recommended! We caught the 180 Postbus from outside Salzburg Hbf to Grossgmain (the stop announced in the bus is Salzburger Freilichtmuseum). 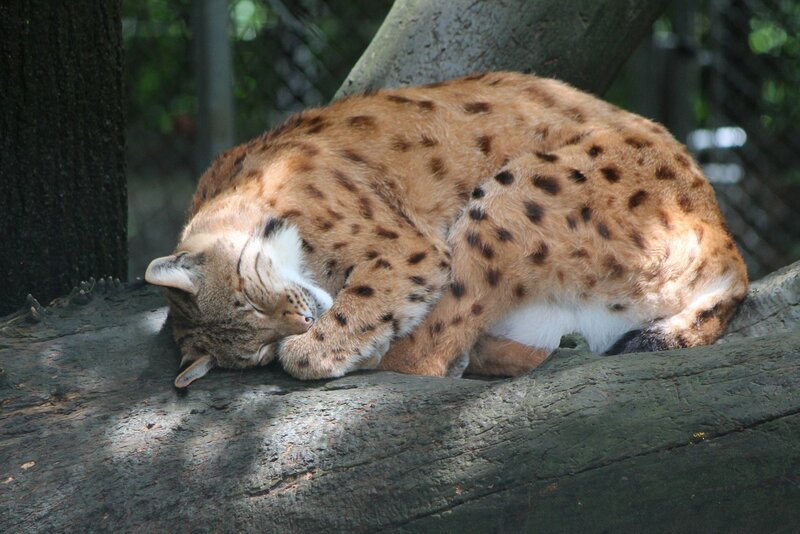 The bus runs every two hours at the weekends. 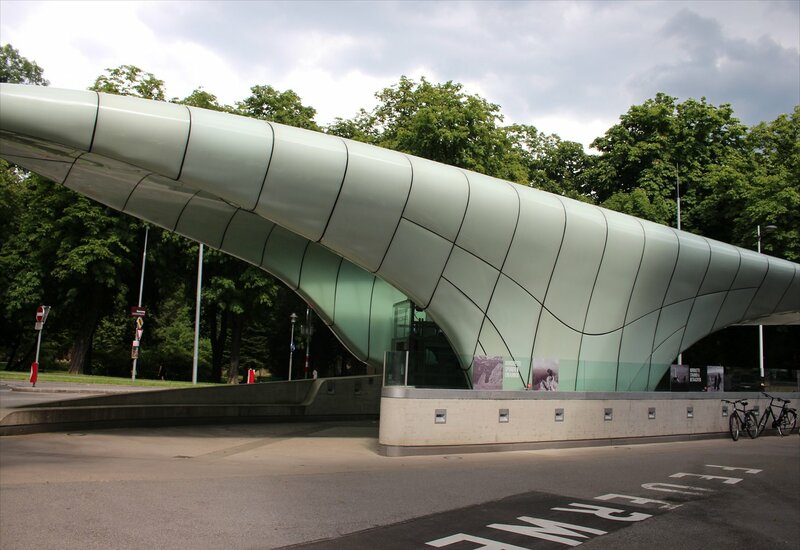 The bus stops on the road immediately outside the museum and it is an easy walk through the car park to the museum entrance. It must have been a particularly busy Sunday when we visited as the car park was full and each side of the road was lined with cars as far as the eye could see! 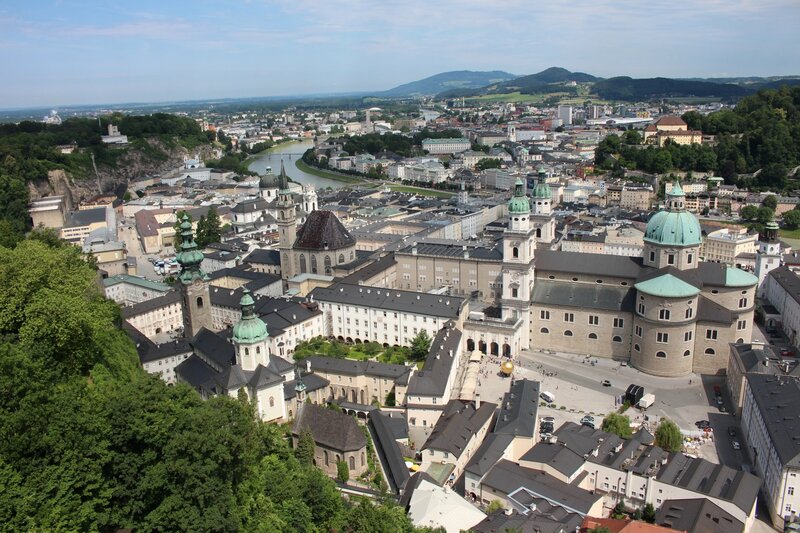 Admission to the museum was covered by our Salzburg Cards but would normally be 11 euros for an adult (with a small discount available for anyone that can show they arrived by Postbus 180). It is good value at that price as this covers the whole site, including a ride on the railway. 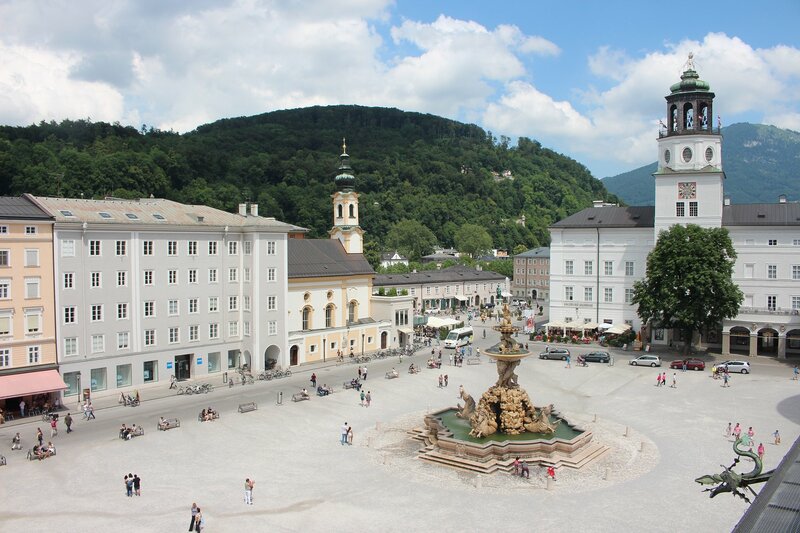 The resumption of our exploration of Innsbruck in our 48 hour visit brought us to the imperial monuments of the Hofburg and the Hofkirche. 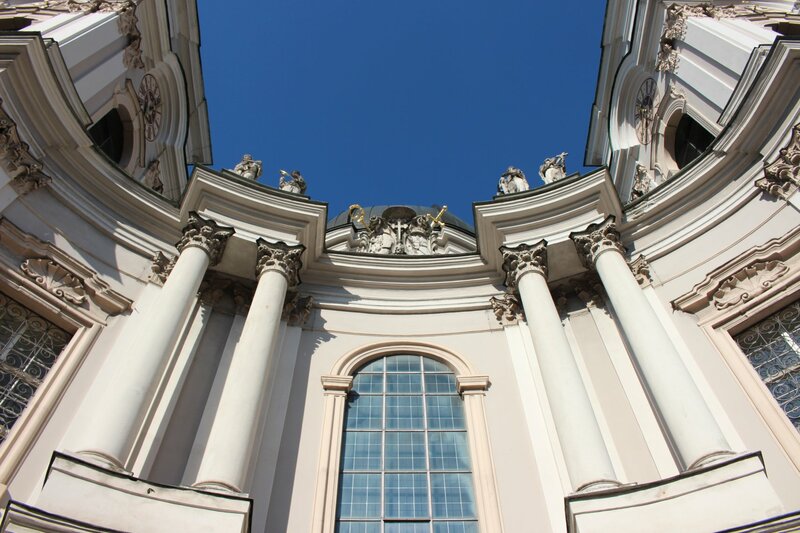 The state apartments of the Hofburg are astonishingly beautiful, but it is the striking Hofkirche that is the standout sight here. 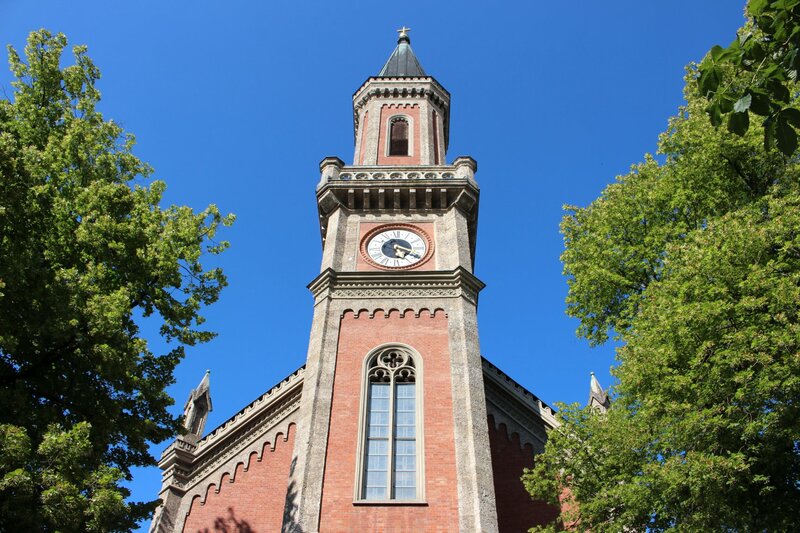 We walked in as the clock chimed 9 o’clock and the church to ourselves for a goodly while, marvelling at the 28 large bronze statues that surround the tomb of Emperor Maximilian I (1459–1519). 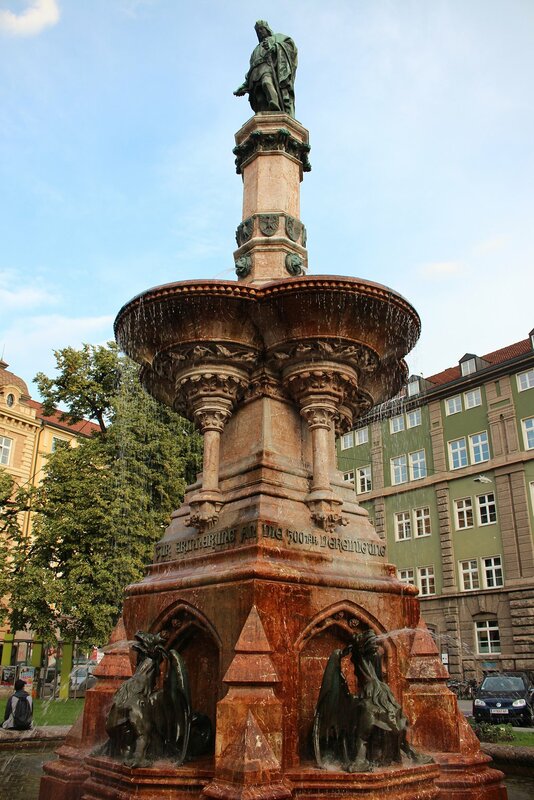 Most are the relatives and ancestors of Maximilian, though there are a handful of legendary figures amongst them such as King Arthur. 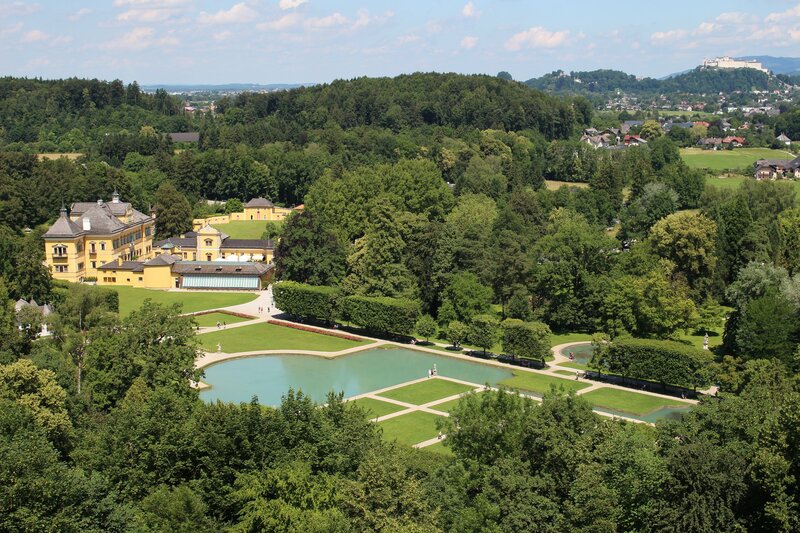 Although Maximilian designed his own tomb it was not completed until 68 years after his death (during the reign of his great grandson Maximilian II) and it doesn’t actually contain his body (which was buried in the castle at Wiener Neustadt). 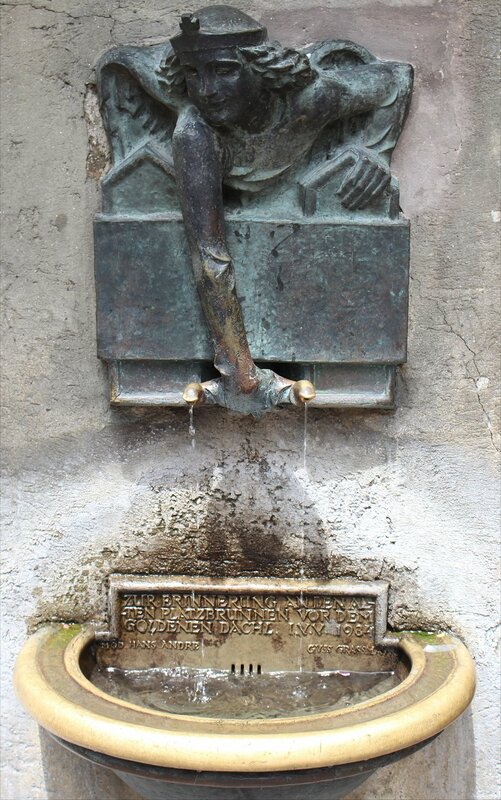 The memorial at the centre of the church includes 24 white marble reliefs depicting key events from Maximilian’s life – all carved in minute detail. 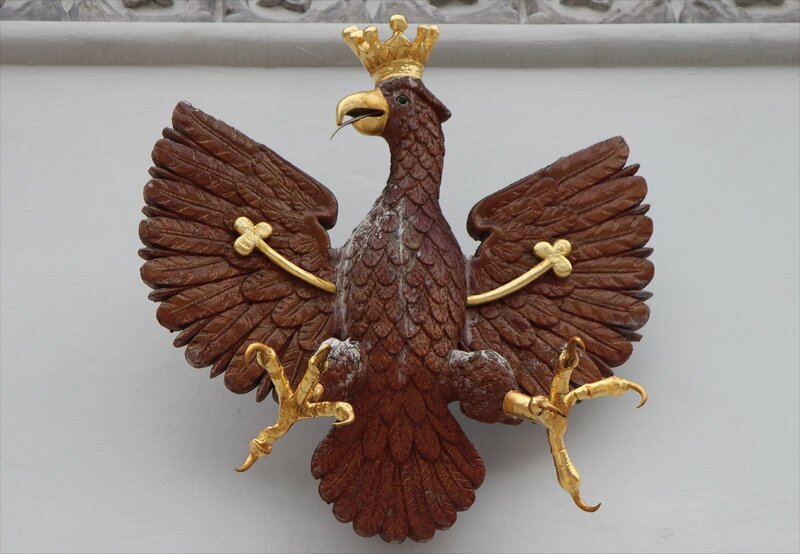 The kneeling figure of Maximilian I can be found at the top of all this. In short, the whole composition is a stunning piece of artistry. In contrast the Hofburg delivers the imperial glory of a later era, specifically the rococo vision of Empress Maria Theresa. A leisurely tour of the imperial apartments delivers some pretty stunning punches, such as the astonishing Giants’ Hall which is decorated with a vast ceiling painting depicting the glory of the house of Habsburg and huge portraits of Maria Theresa’s family. 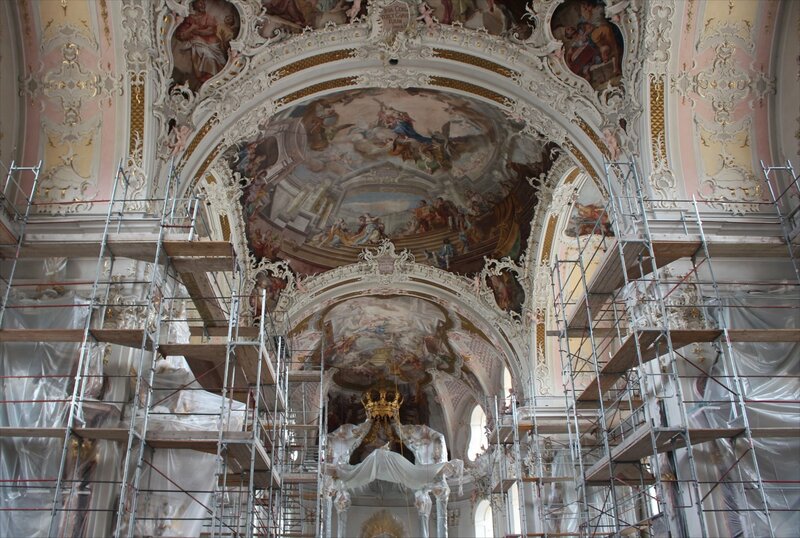 The intimate court chapel in the Hofburg offered the most poignant glimpse into imperial life. 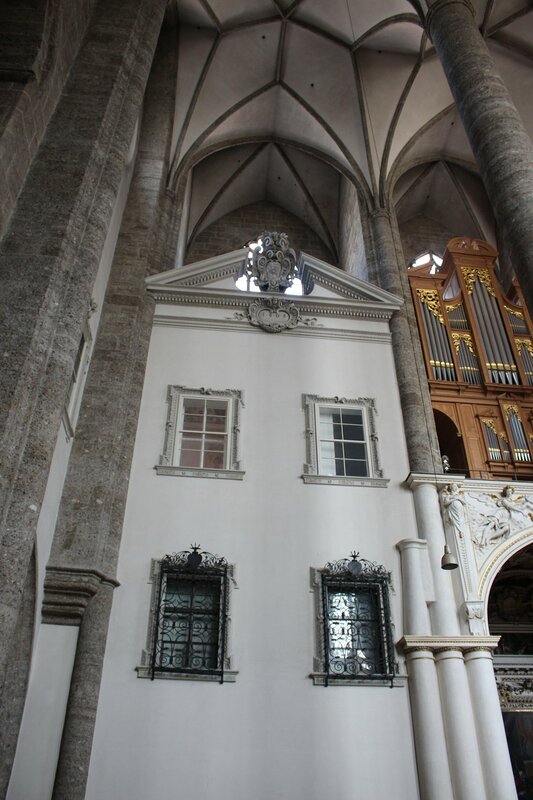 The chapel was created in the room in which Maria Theresa’s husband, Emperor Francis Stephen, died during the wedding celebrations for their son. A display case in an adjacent room contains the wooden ‘death crowns’ used by the royal family. 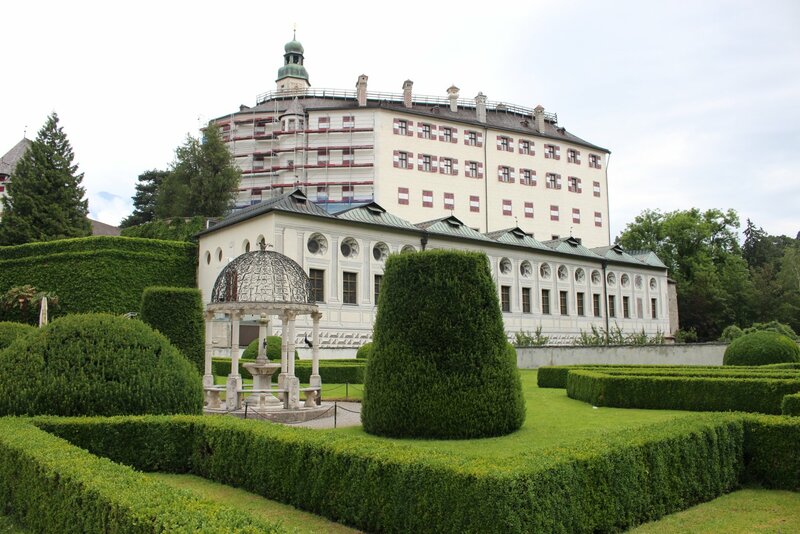 After leaving the Hofburg we headed to the last imperial sight of the day, the Goldenes Dachl. 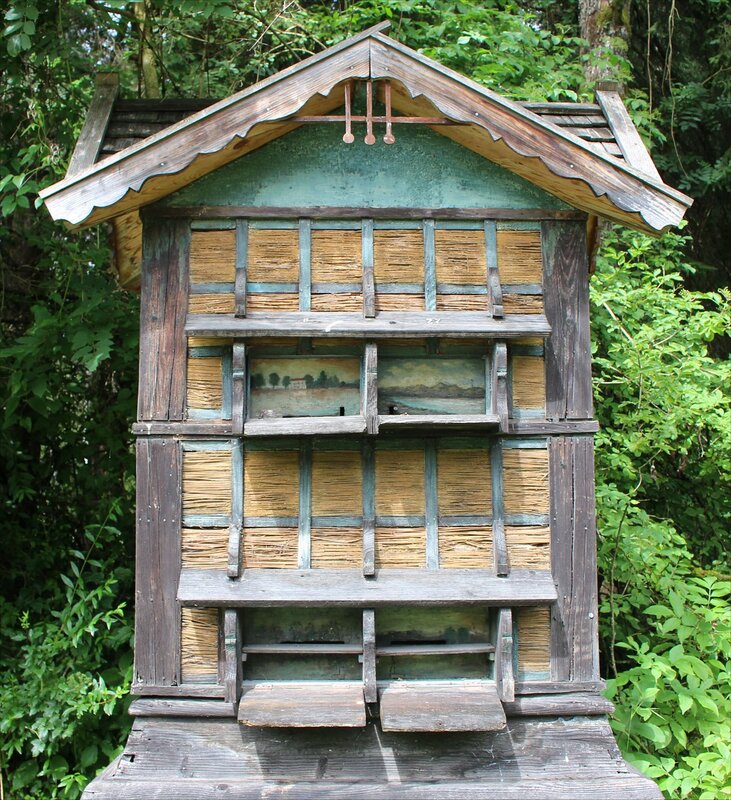 This imperial residence is famous for its ornately decorated and golden roofed oriel. 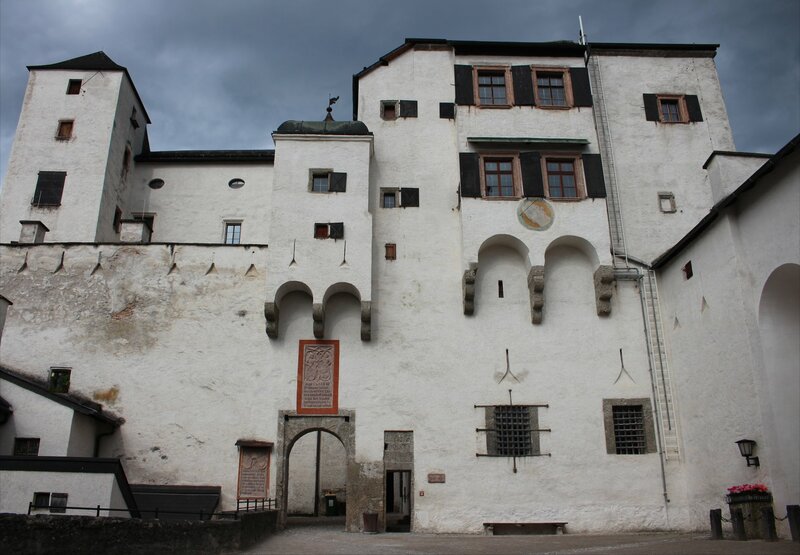 It was, in essence, a viewing chamber for Maximilian I to observe life on the streets of Innsbruck. 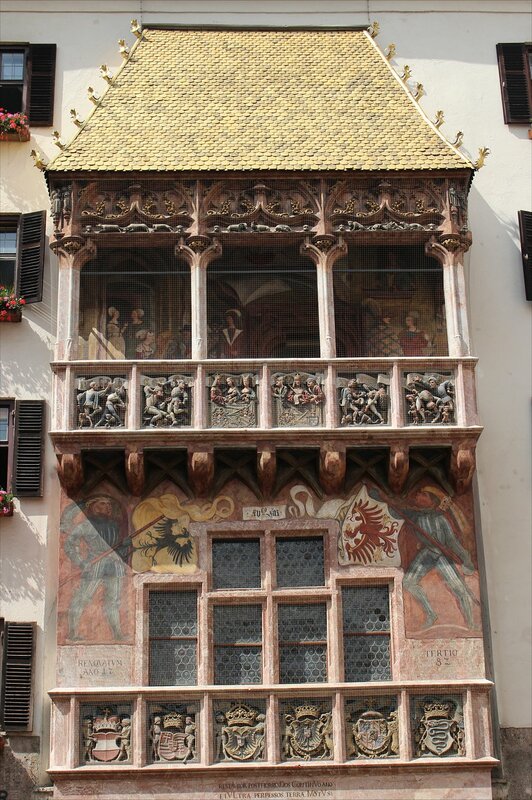 The tables have turned and now it is mostly the street life of Innsbruck that crowds around the building to observe its beauty! Other sights in the city that we visited included the Dom. 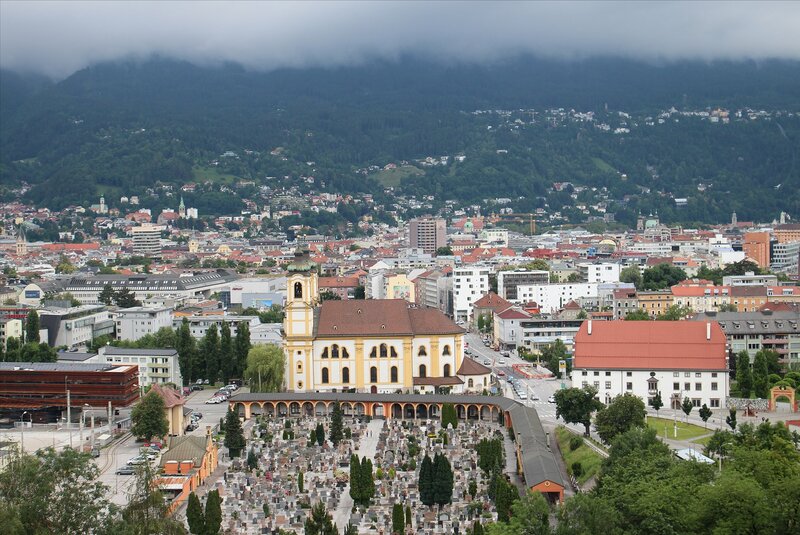 St Jacob, the Maximilianum, the Innsbruck City Archives, the Alpine Zoo, the Johanneskirche and the Servitenkirche. All served up their own delights, though we could perhaps have done without the sight of the vultures unfinished dinner at the zoo, a half eaten carcasse of a lamb, at lunchtime. However, this didn’t deter us from going for a rather delicious late lunch of beef goulash, pretzel dumplings and radler at the traditional Stiftskeller in the heart of the old town! 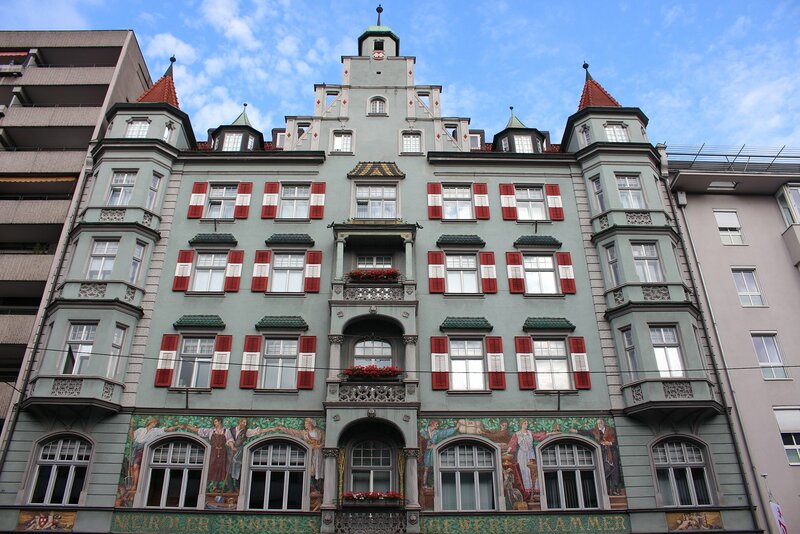 A two night stay in Innsbruck gave us a good opportunity to see most of the major sights in the city, using an Innsbruck card to cover admission and public transport (a bargain at 48 euros for 48 hours). The only complication was a grim forecast of heavy rain for almost the entire span of our stay! 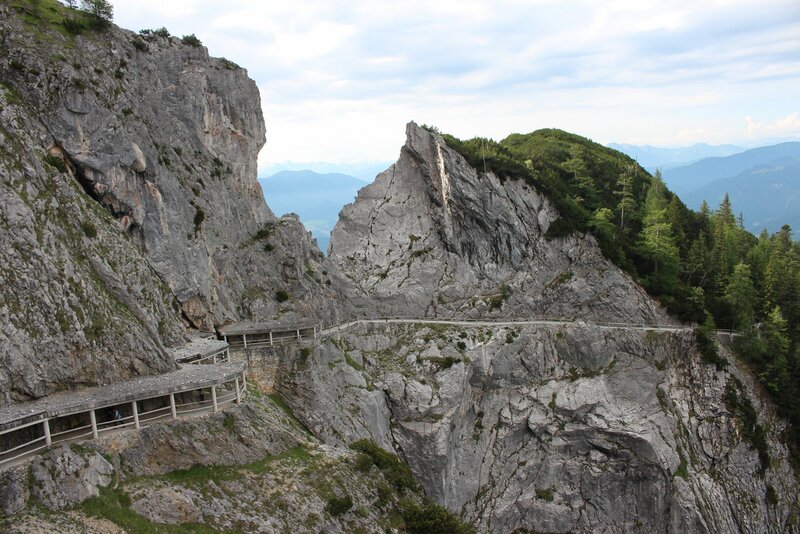 The highlight for most visitors is a trip up the Nordkette, a mountain range described in the promotional material as the ‘jewel of the alps’. 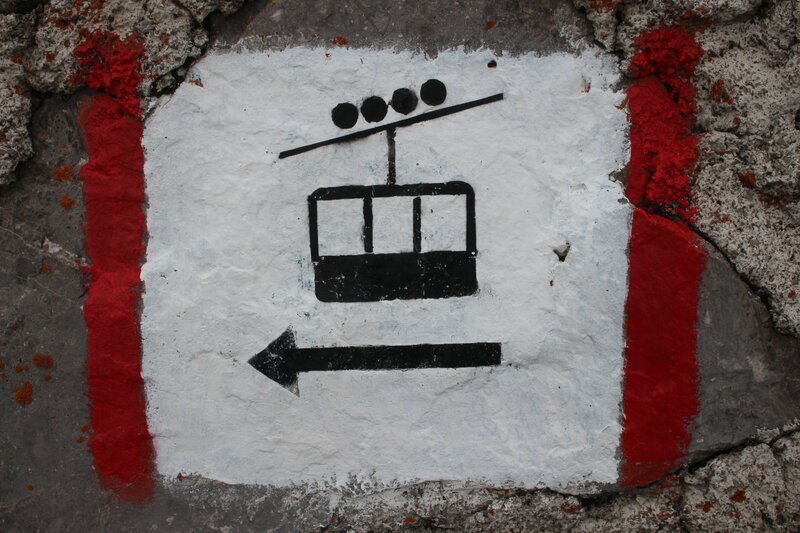 The journey up to the 2,300m-high Hafelekar involves a funicular and two cable cars. 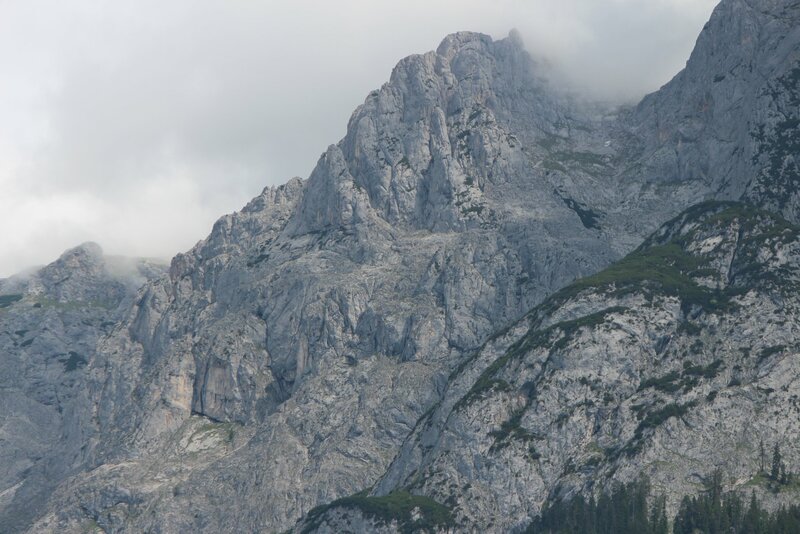 The reward for this effort should be excellent views and an experience of the alpine wilderness of the Karwendel Nature Park. Sadly, the weather worked against us on our trip. The first leg of the journey up delivered us to the Hungerburg viewpoint at just the right time to get a good view of the city illuminated by a short lived burst of sunlight. 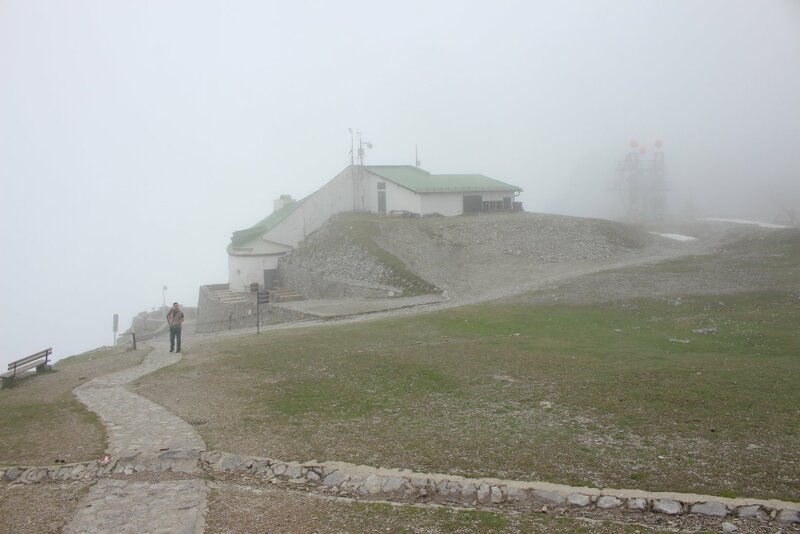 The mists were thickening as we took the second leg up to Seegrube and by the time we reached the Hafelekar station you could see nothing at all. 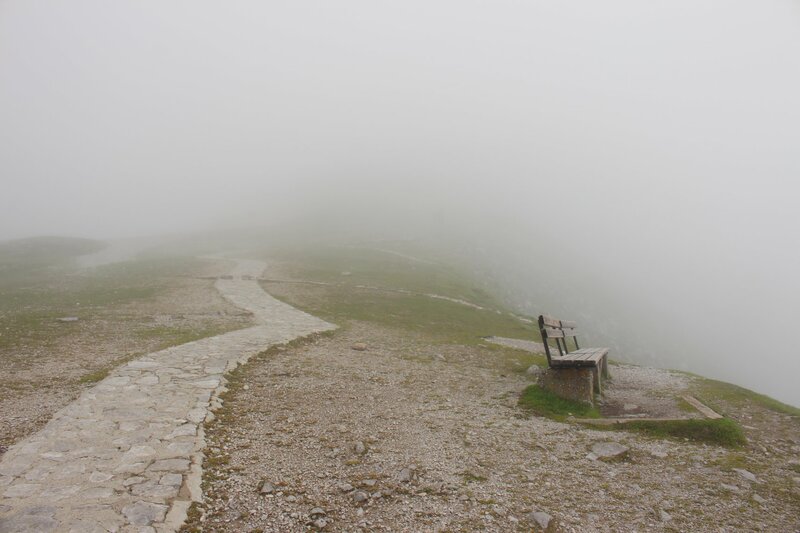 I had optimistically thought that we may have been able to appreciate the alpine landscape, even if we didn’t get the views, but the mist just obscured everything. 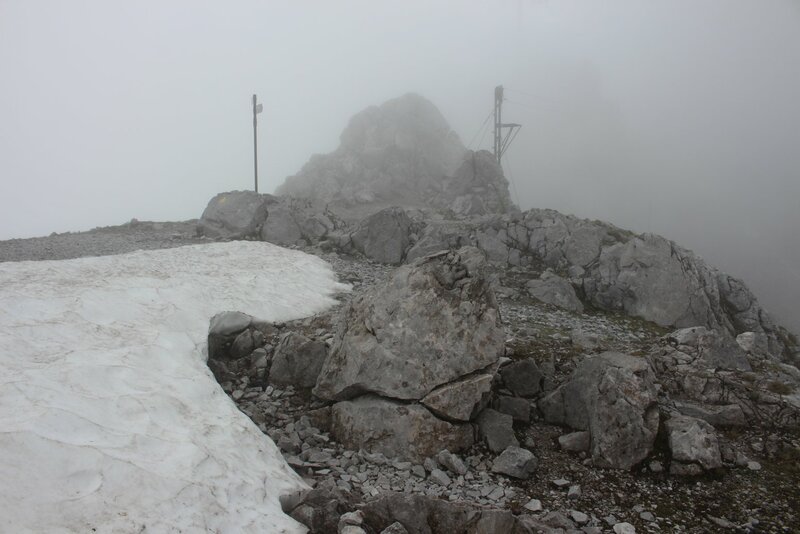 A short walk from the cable car station should take you to the peak of the mountain range, but there seemed little point in these conditions. For a brief moment the mists at least thinned out enough to give us sight of the top but then closed back in so well that we had trouble seeing the way back to the cable car station! 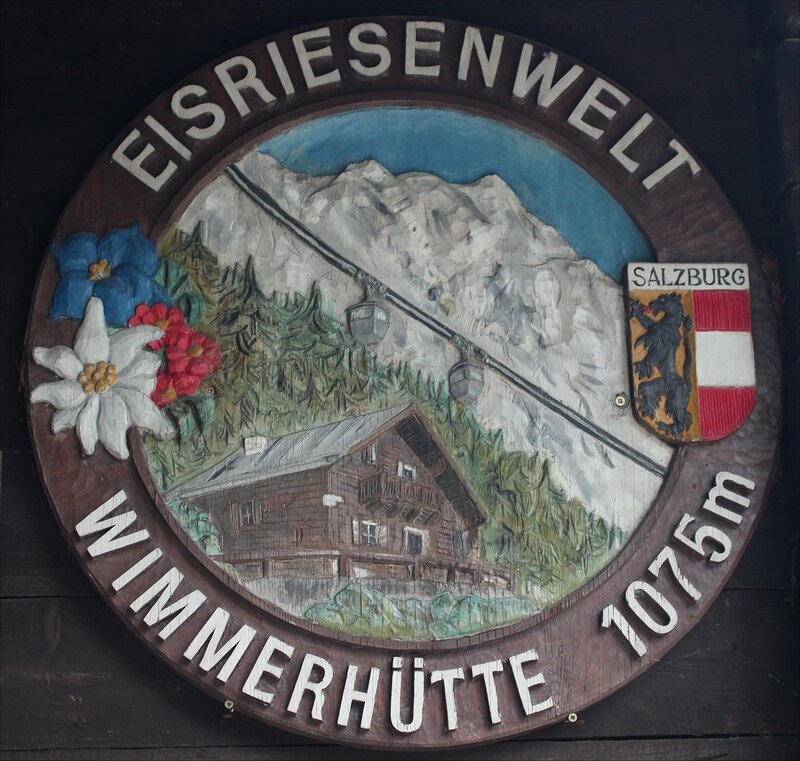 I probably wouldn’t have bothered with the trip if we were paying separately, but as the trip was included on our Innsbruck Cards we felt it was worth a look. We made our journey up at the start of the day, before most other attractions opened, so it fitted into our itinerary quite nicely but I can imagine that you would want to spend longer up top under the right conditions. 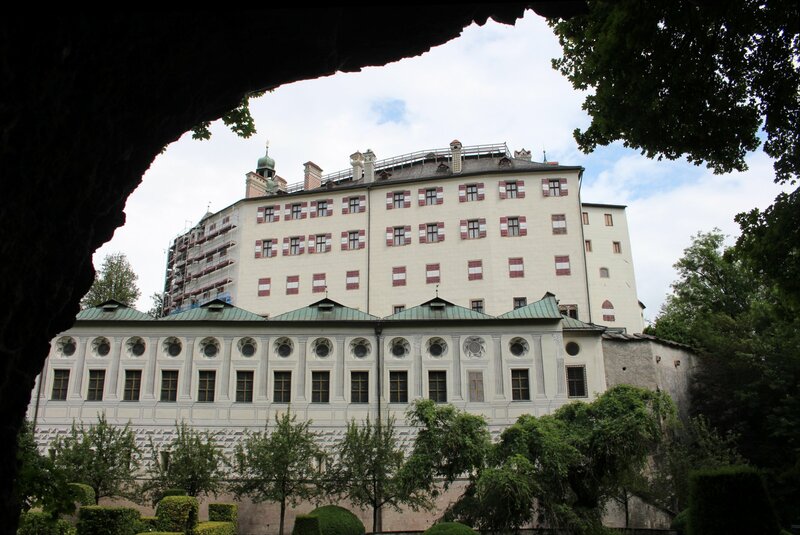 Once we made it back to the bottom of the mountain we hopped on to the Sightseer bus for a 19 minute ride across the city to Schloss Ambras, the renaissance palace of Archduke Ferdinand II (1529–1595). The castle is a splendid sight and has much to offer the visitor besides the fascinating interior, from impressively staged displays of armour to a terrific collection of portraits (including unexpected portraits of Elizabeth I and Mary Queen of Scots amongst others). 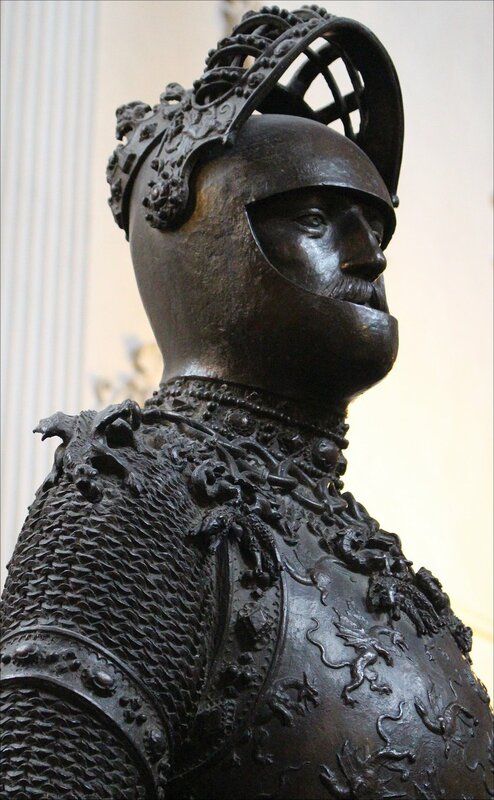 However, the highlight has to be the Chamber of Art and Curiosities which is the only collection of its type to be displayed in its original location and in the spirit of its initial conception (containing everything from intricate coral carvings to a painting of ‘hairy man’ Pedro Gonzalez). It is also worth taking the time to check out the permanent exhibition about the life of Ferdinand II, who broke with convention by marrying Philippine Welser, a commoner, for love. Ferdinand’s father would only accept the marriage under condition of absolute secrecy and the effective disinheritance of their children from future royal title. 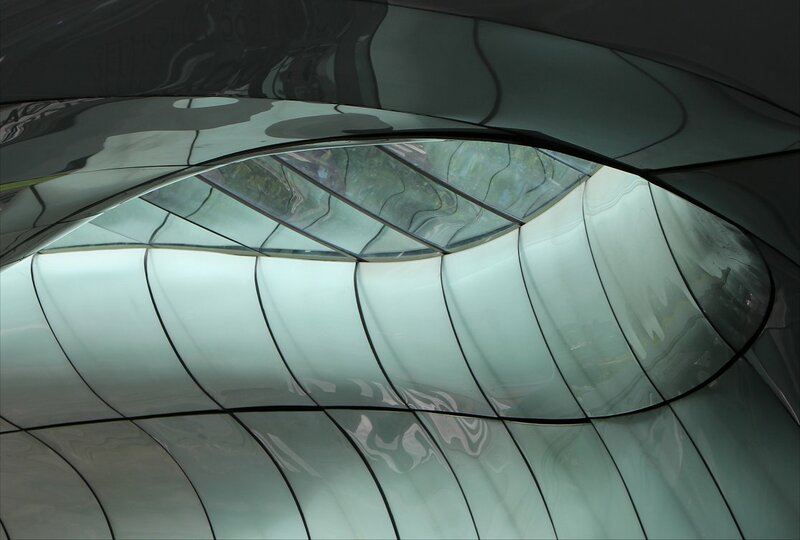 It’s a fascinating tale and one that I had absolutely no idea of before my visit. 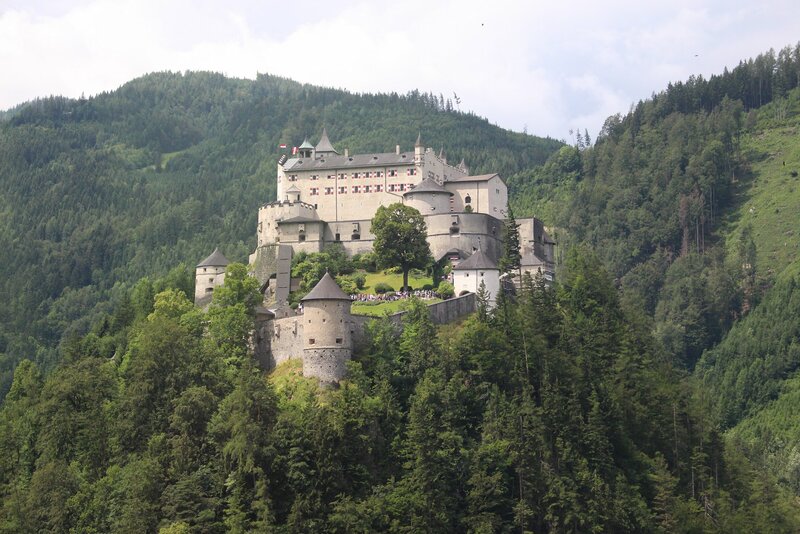 A tram took us from the Schloss to our next destination, Wilten, and a trio of sights – Wilten Basilica, the Tirol Panorama and the Kaiserjäger Museum (Museum of the Tyrolean Imperial Infantry). 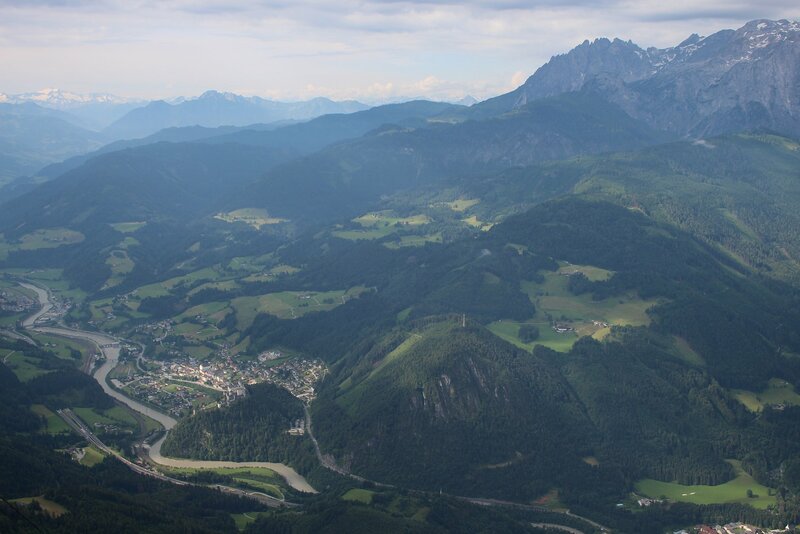 I always have a weakness for a good 360 degree panoramic painting and the Tirol Panorama does not disappoint. 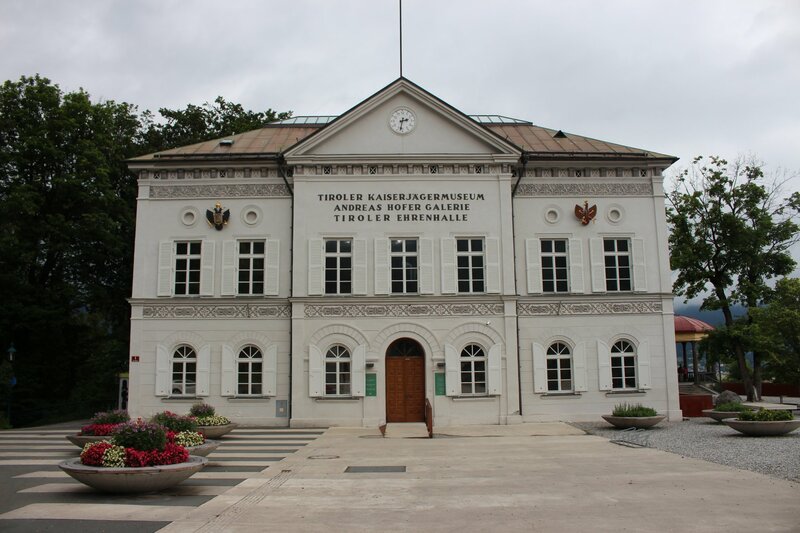 The painting depicts the Tyrolean uprising of 1809, led by Andreas Hofer, which took place on the ground around the current museum. 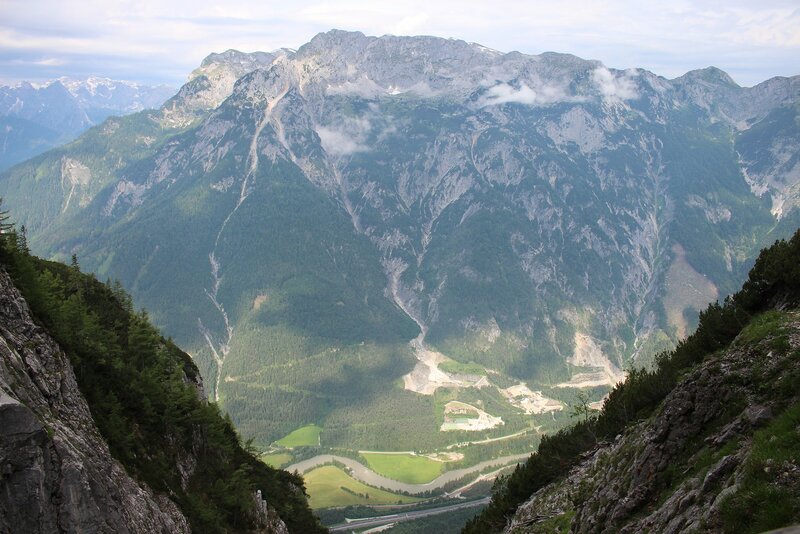 It shows us the moment of breakthrough for the Tyrolean forces with realistic foreground detail to draw us in. 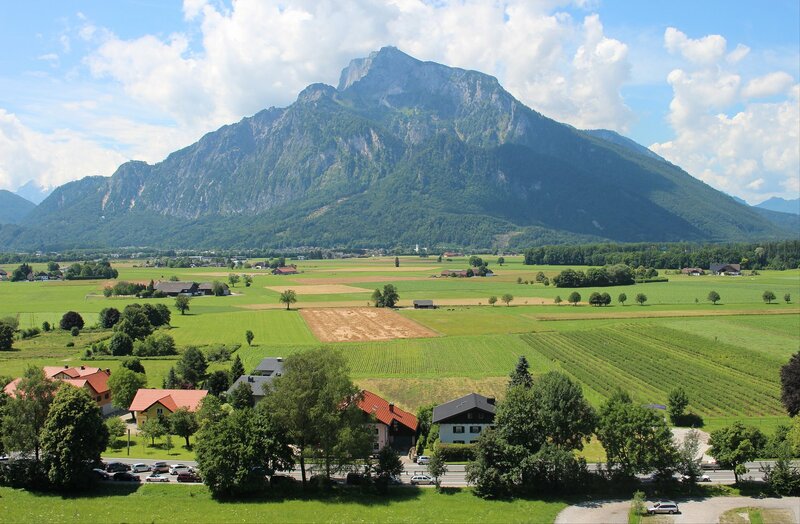 However, the panorama does much more than present a moment in history – it is part tourist promotion (note the enticing snowy mountains in the backdrop, when snow would not have been visible at the time of the battle) and part propaganda (it rewrites history by putting the Tyroleans into uniform, when in fact they wore their own clothes, and by placing the Emperor’s men alongside the Tyroleans). The audio guide is invaluable in telling the story of the battle and highlighting details that you might otherwise miss. 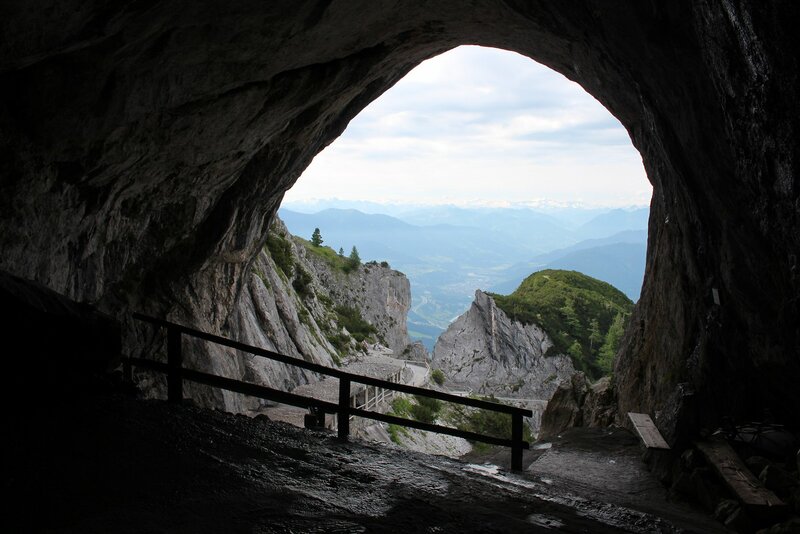 An underground passage links the panorama to the Kaiserjäger Museum (Museum of the Tyrolean Imperial Infantry) which was an unexpected highlight of the day for me. 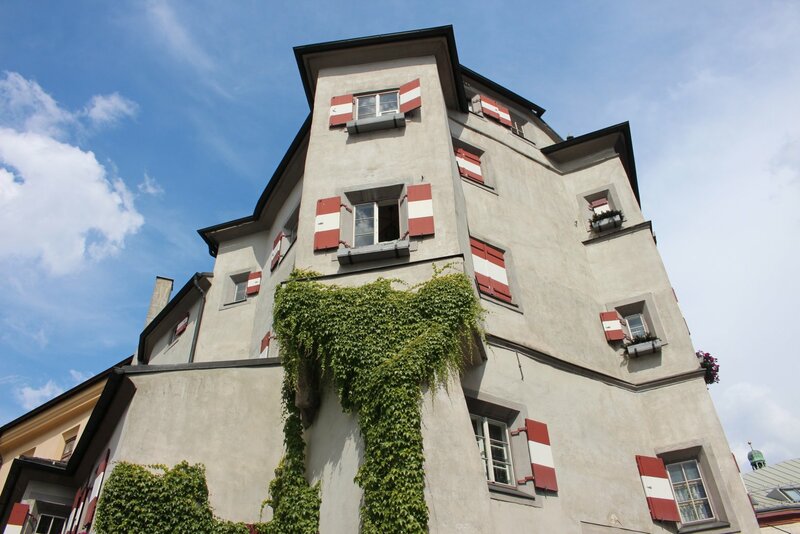 In essence it is a regimental museum that has been modernised but still presents its collection in a way that would not be unfamiliar to its creators (for example, portraits are closely hung together as they were in the original design). It’s a great museum to wander and there are some terrific paintings, such as a handsome portrait of a young Franz Josef I in uniform. 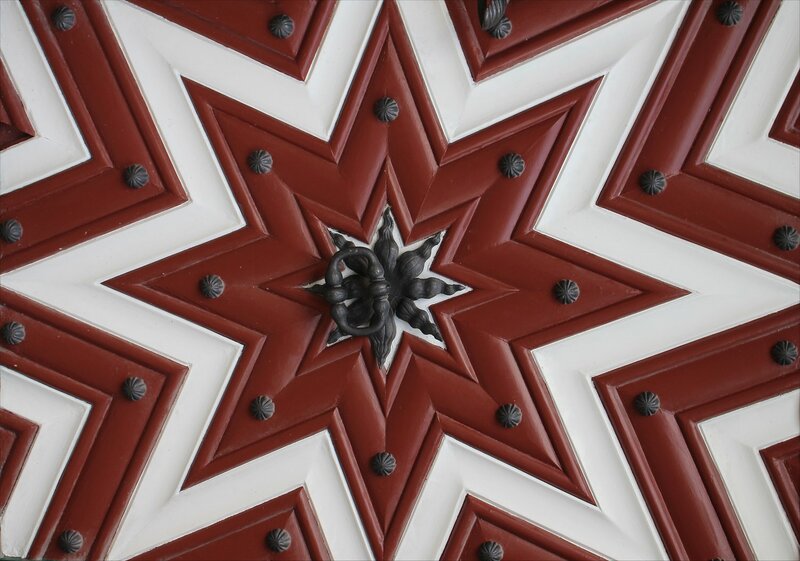 The final room of the Kaiserjäger Museum looked beyond the conflicts that it commemorates, celebrating the birth of the European Union from the ruins of a decimated continent in 1945. An audio-visual presentation focused on the good that has come from this and the dangers to its existence, highlighting the way that the EU is often made a scapegoat for many ills not of its making and that nationalistic views are falling on all too fertile ground that could yet lead us back to bleak times. I have no idea when the presentation was pulled together but it seemed sadly prescient. 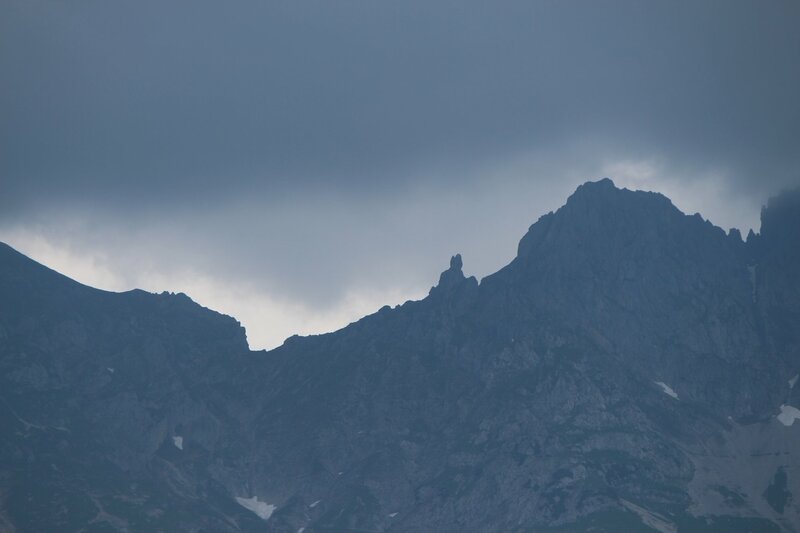 We could have continued on to to the Bergisel Ski Jump tower, with an impressive view of Innsbruck, but with a storm brewing we decided to call it a day, heading back into the city centre by bus. It proved to be a wise move – the heavens opened soon after we made it back inside and many hours of heavy rain followed. 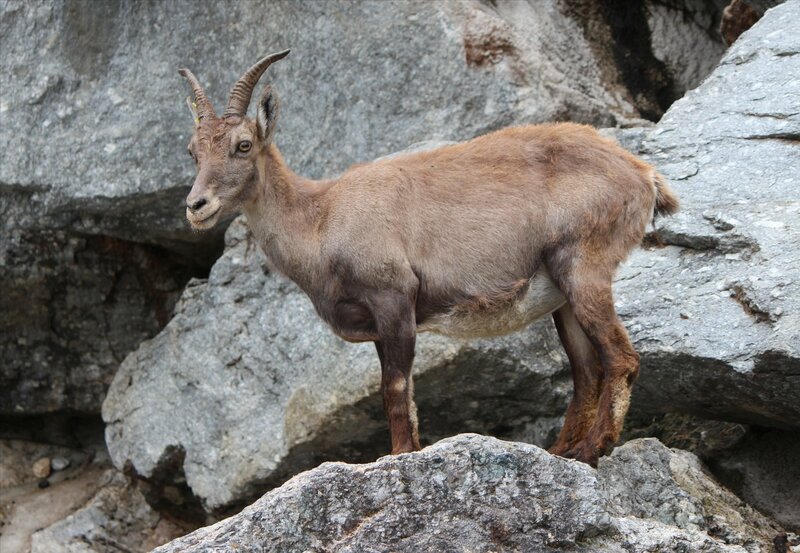 We will have to wait until tomorrow before resuming our 48 hour tour of Innsbruck!